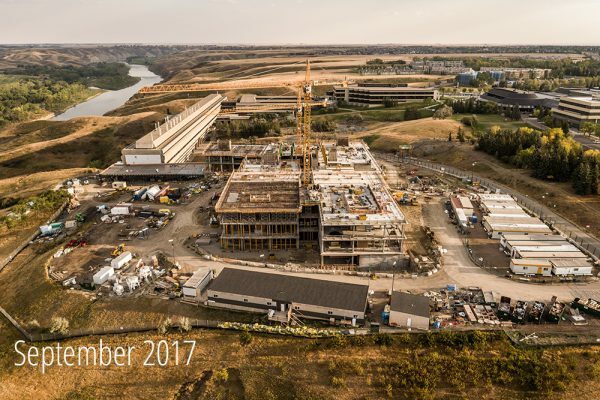 In 2019, the University of Lethbridge will experience a shift that will launch us into the future of transdisciplinary research, enhanced by the supportive environment of the Science and Academic Building. 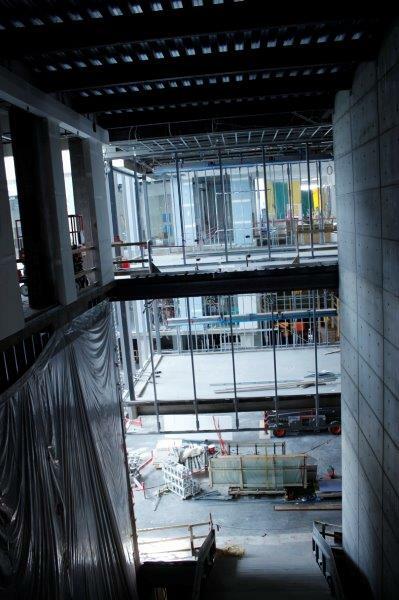 However, this campus won’t be isolated in the ripple effect the addition of this transformational space for learning and research will cause. 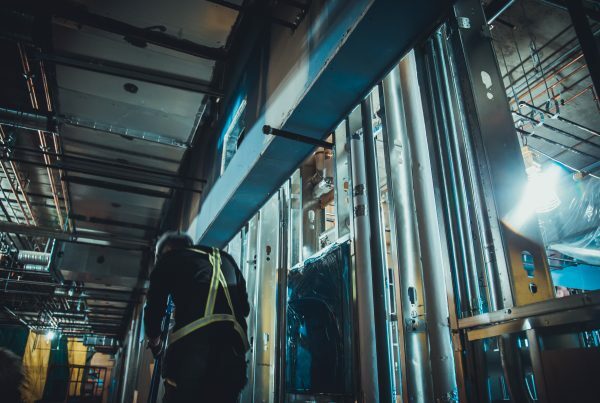 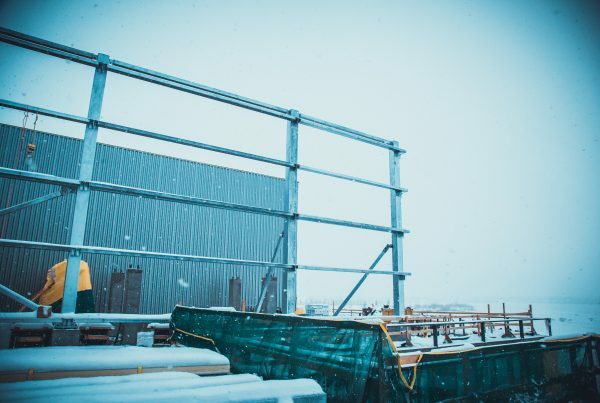 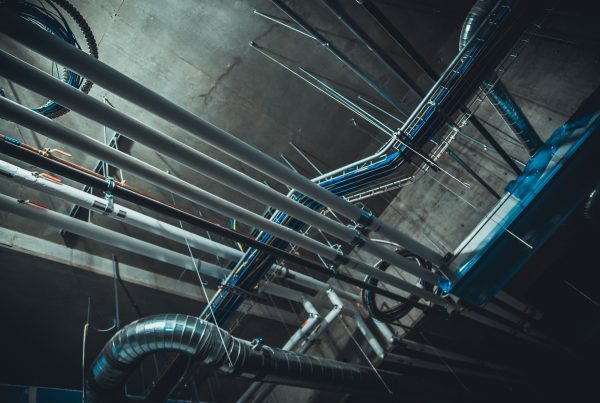 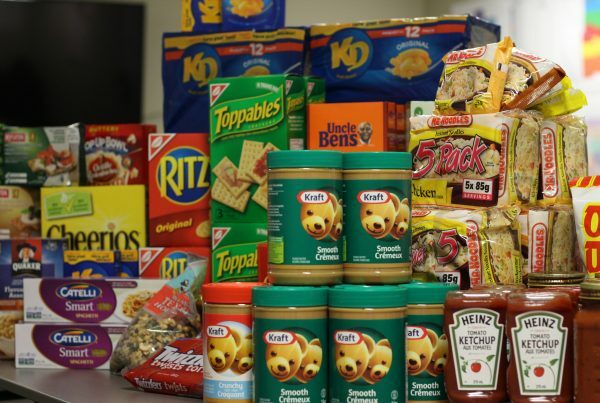 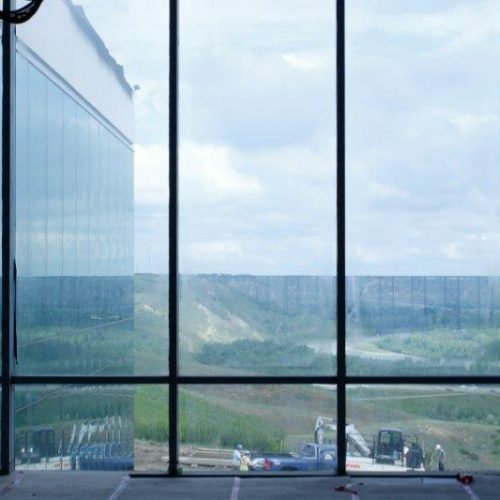 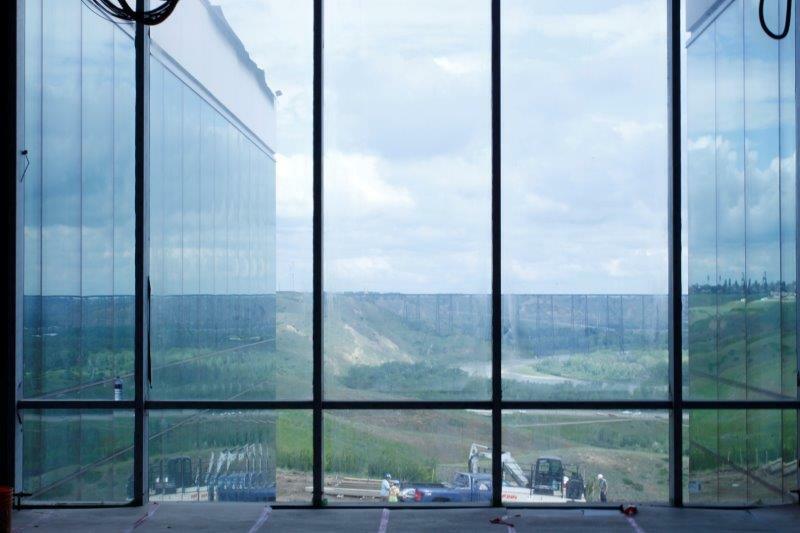 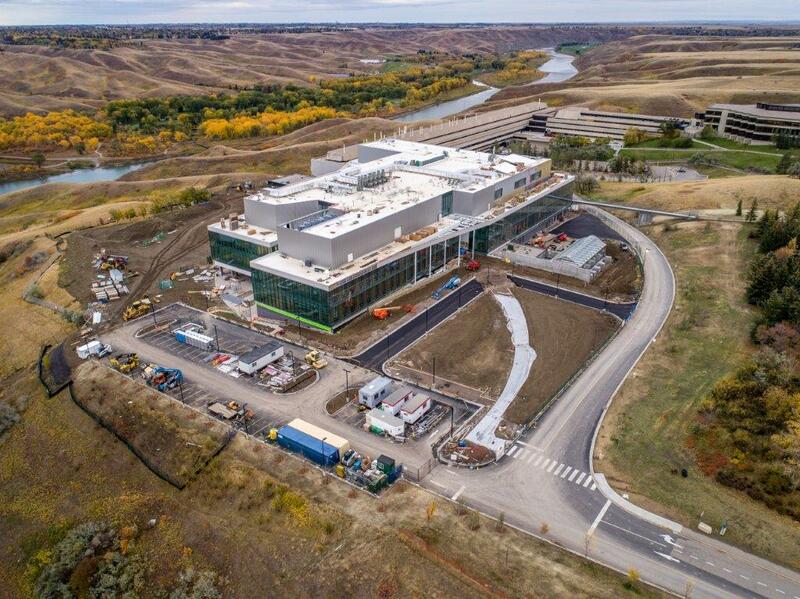 Nestled in the centre of Alberta’s agriculture industry, this building and its activities will strengthen the connection to the local industries that are making an impact nationwide. 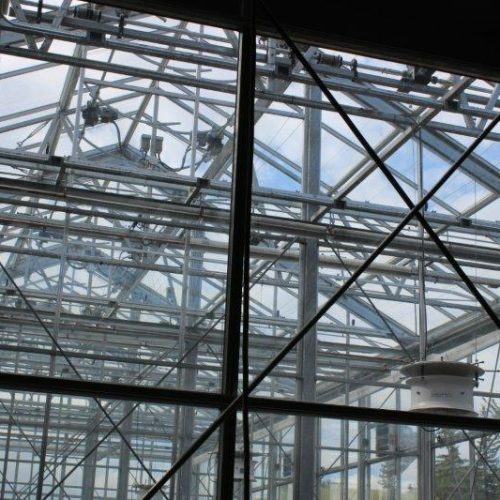 Our local potato growers and processors represent one such industry, and 45 of them were on campus for the Potato Research Laboratory Open House. 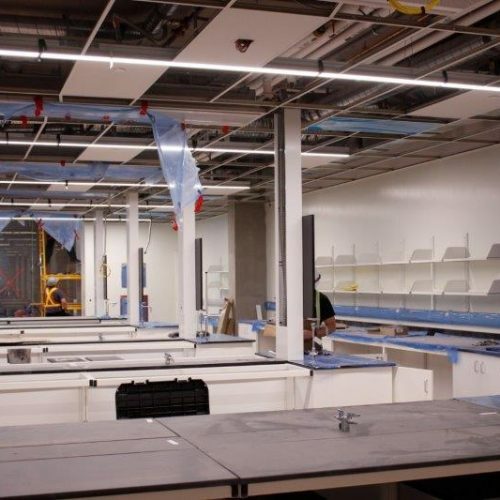 As part of the Open House, they toured the Science and Academic Building and witnessed the spaces where their research needs will come to life. 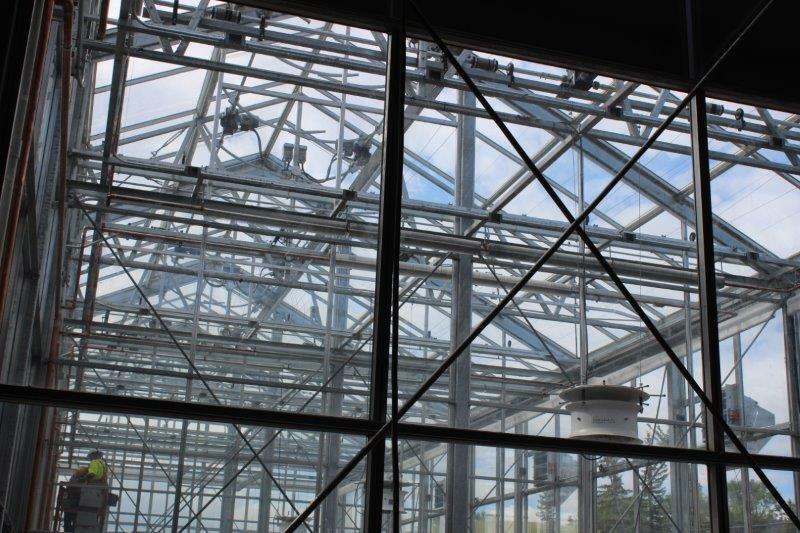 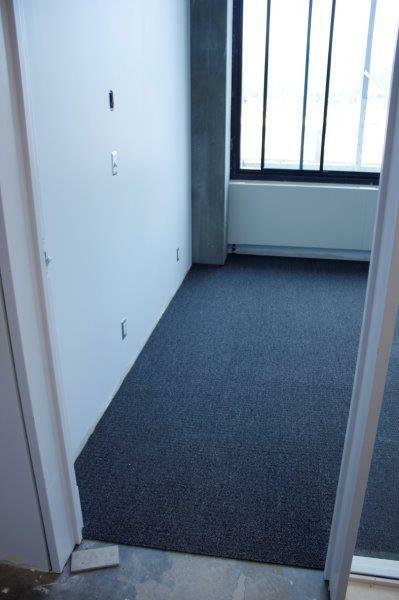 Thomas McDade, Agricultural Director with Potato Growers of Alberta (PGA), was impacted by the building’s innovative use of space. 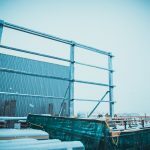 One of the largest investments into research the PGA and local potato processors (Cavendish Farms, Lamb Weston and McCain Foods) are making into the local potato industry is sponsoring the Potato Chair at the University, Dr. Dmytro Yevtushenko. 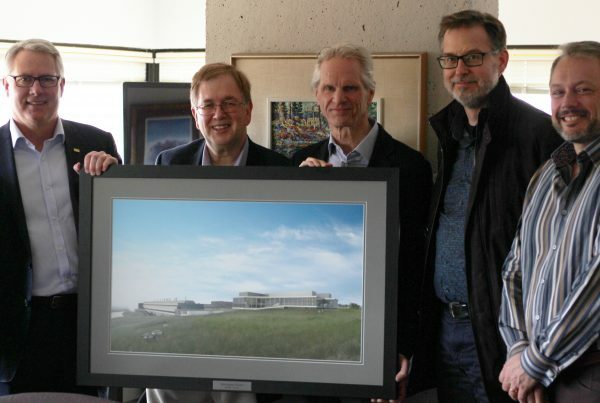 McDade says moving into the building will expand his ability to collaborate with Dmytro and other scientists in a transdisciplinary environment. 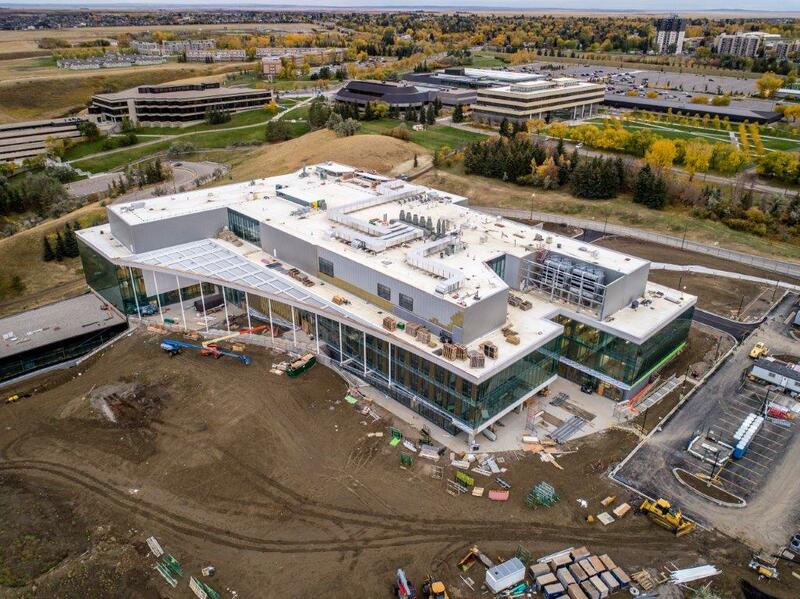 David Hill, Director of Development, Cor Van Raay Southern Alberta Agribusiness Program at the University and participant in the potato grower and processor’s tour, says for those stakeholders, it highlights that the impact of the building goes far beyond this campus. And as the building is becoming part of the southern Alberta landscape, the work that it’s capable of facilitating has great potential to shape the local agricultural landscape as well. 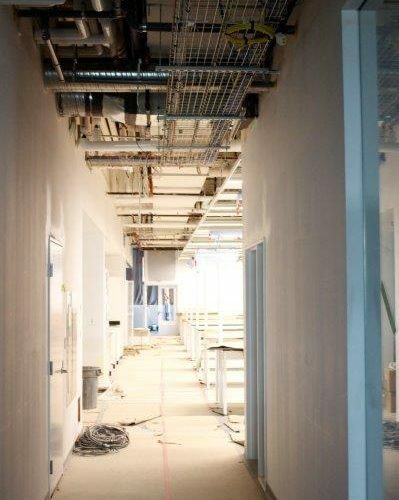 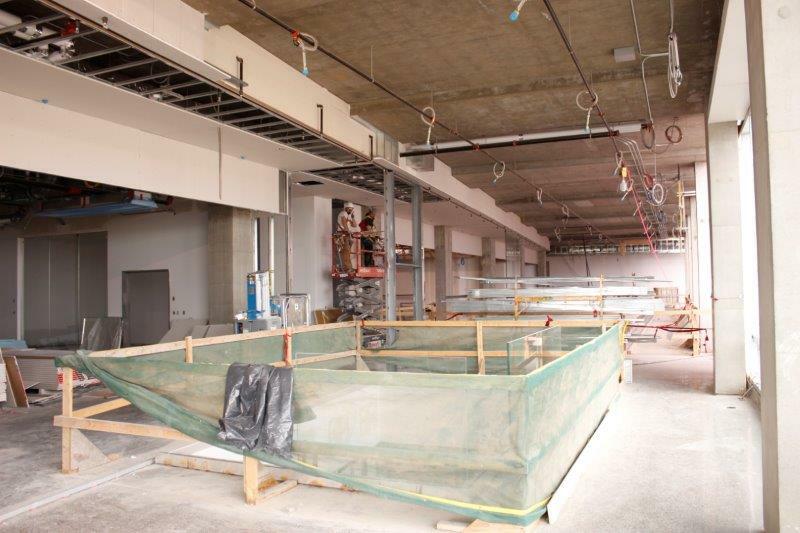 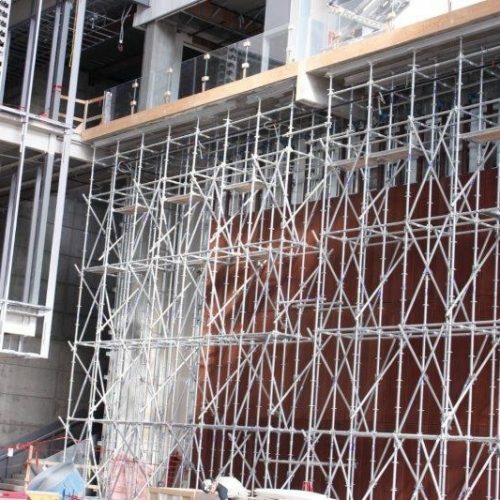 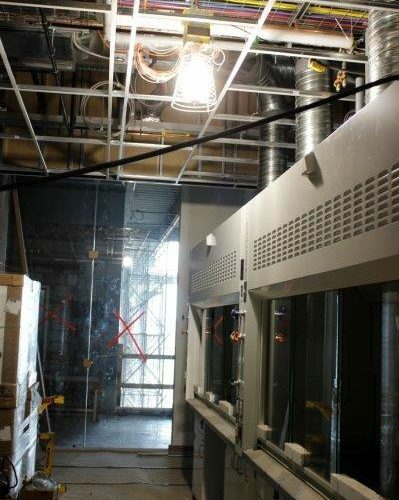 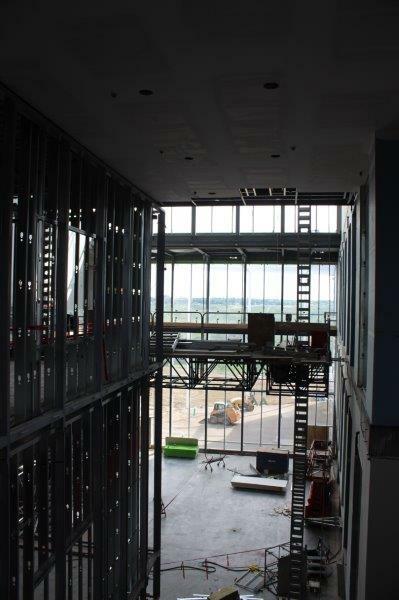 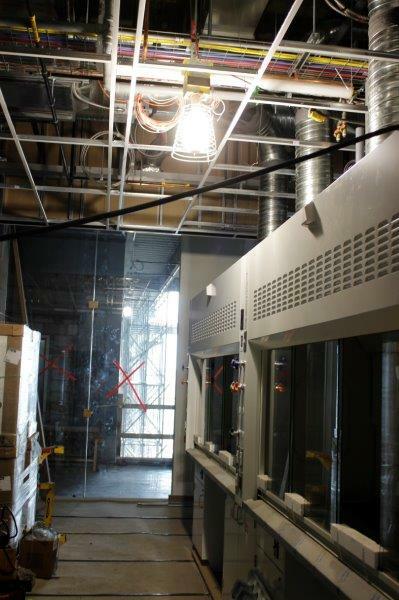 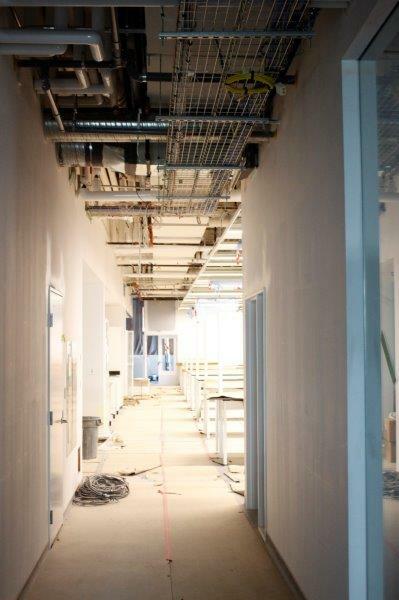 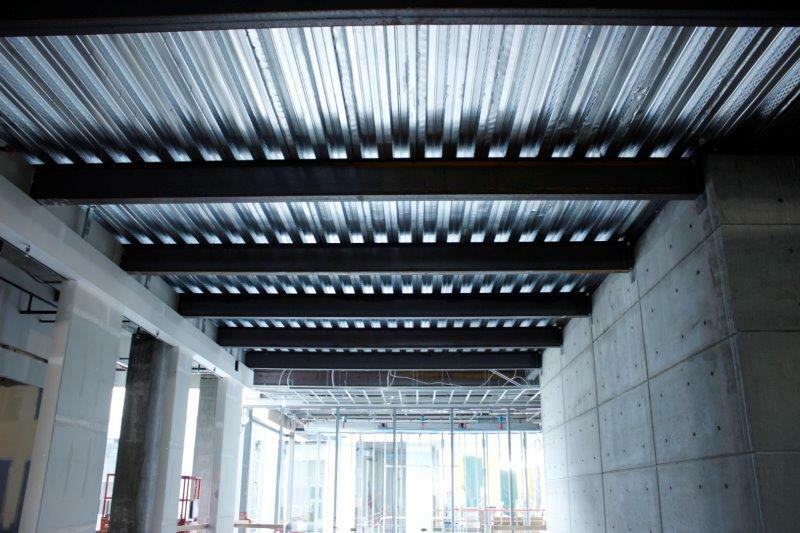 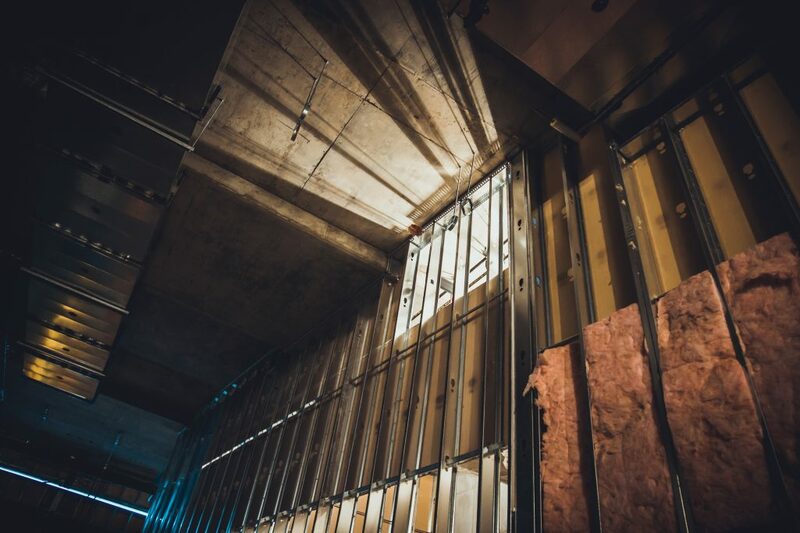 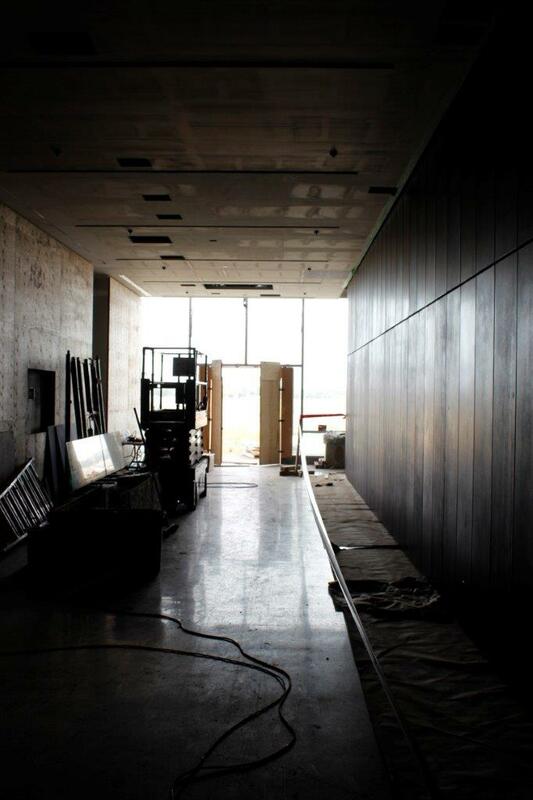 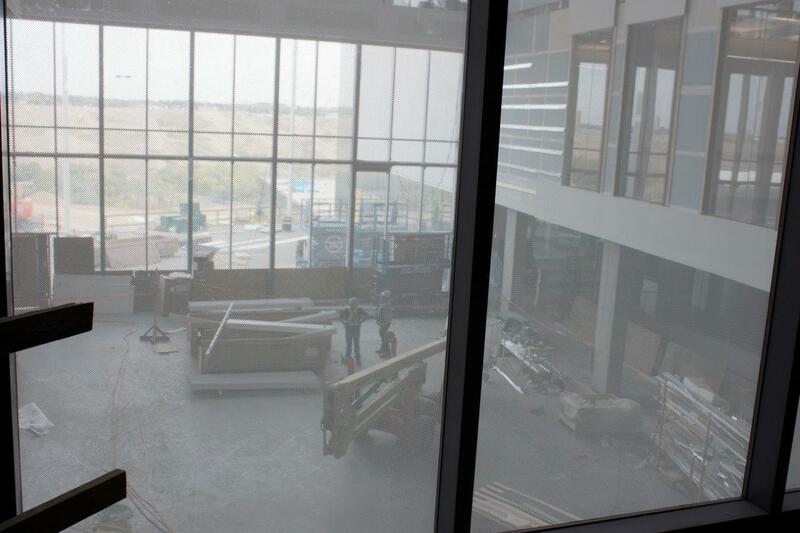 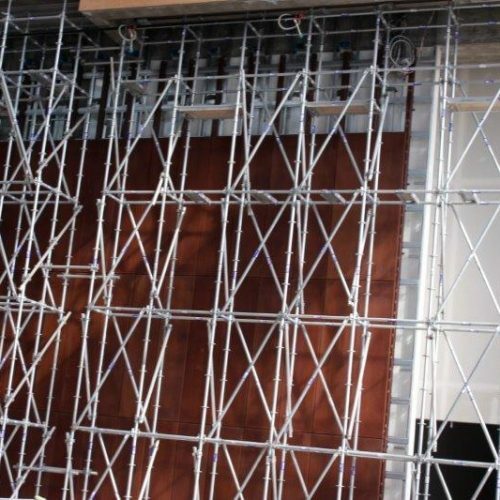 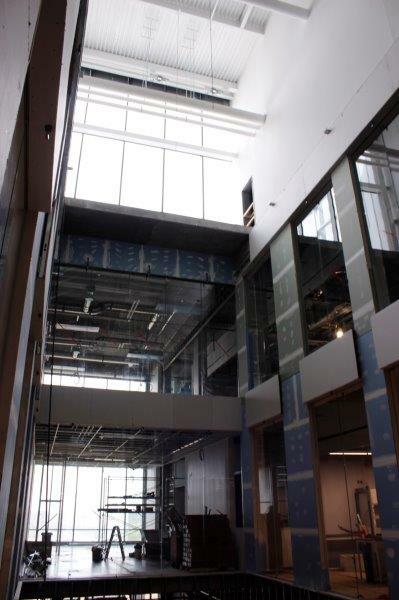 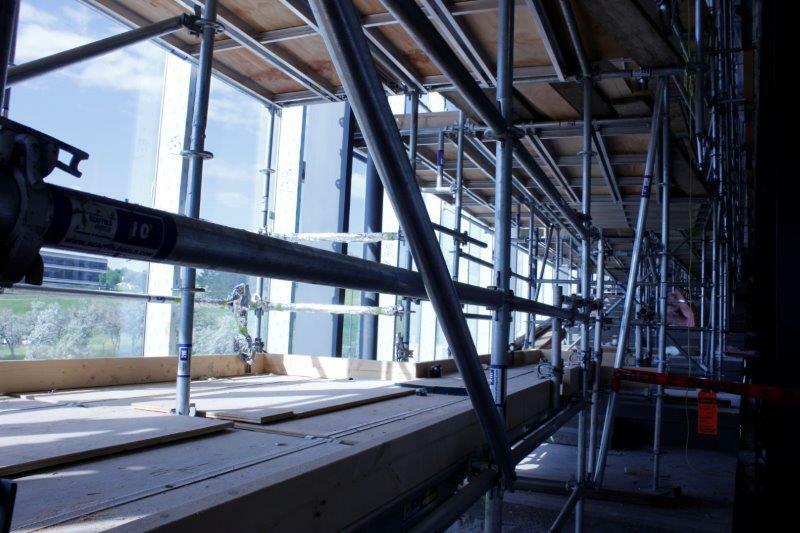 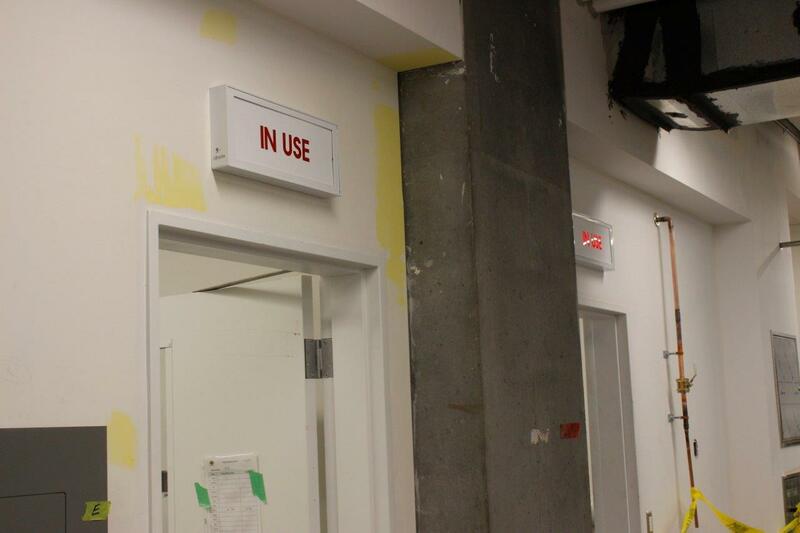 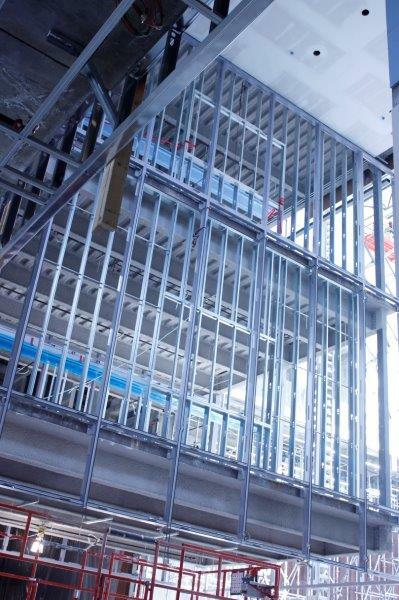 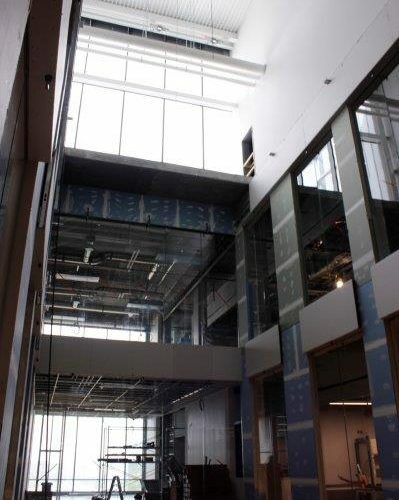 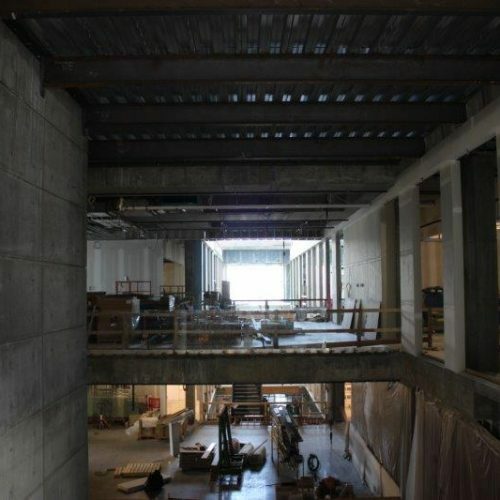 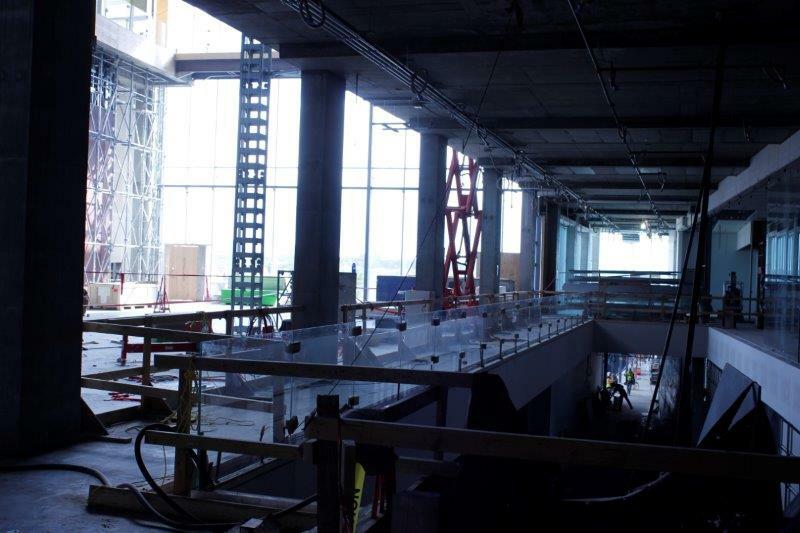 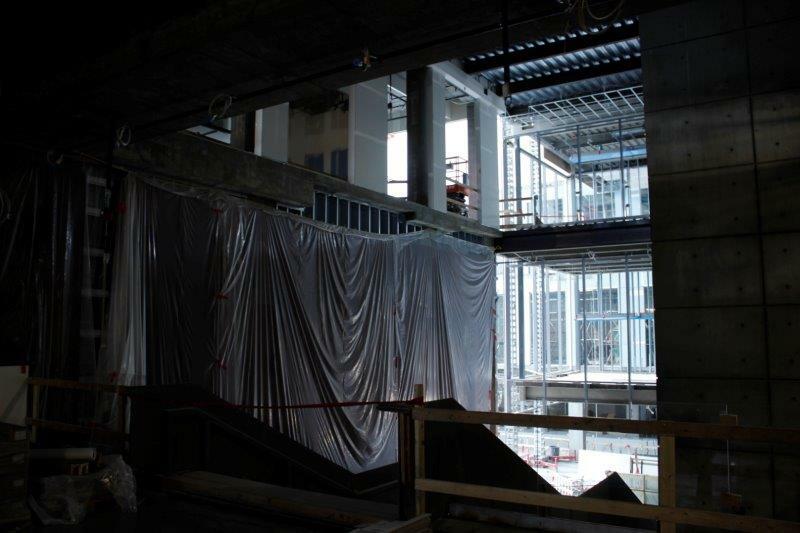 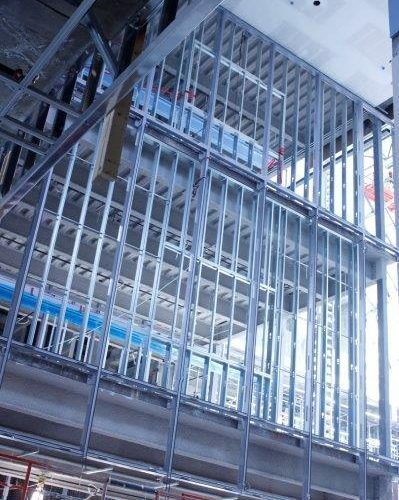 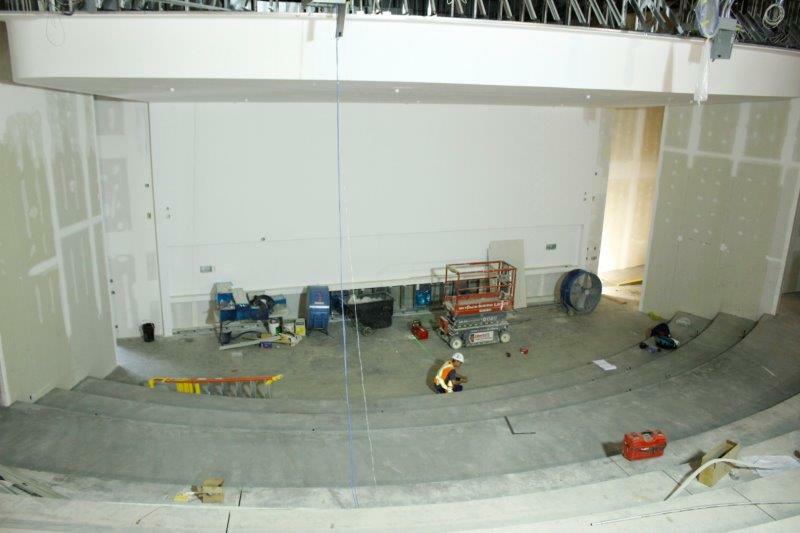 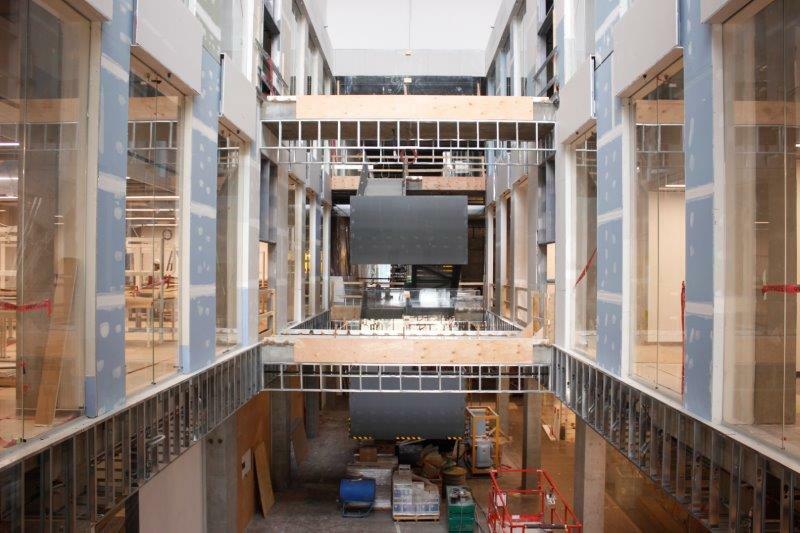 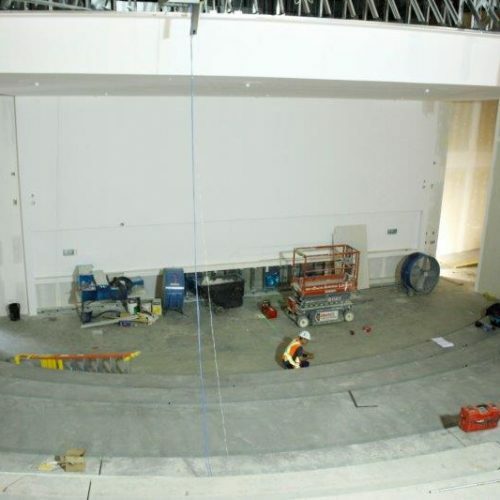 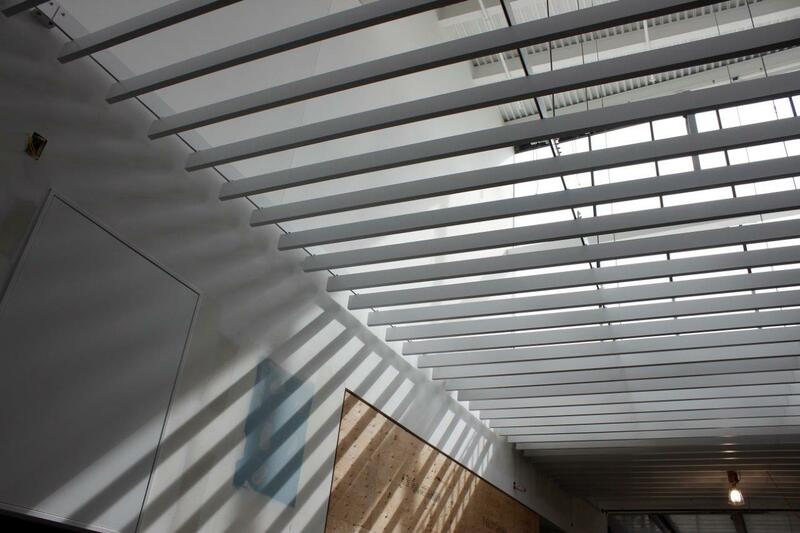 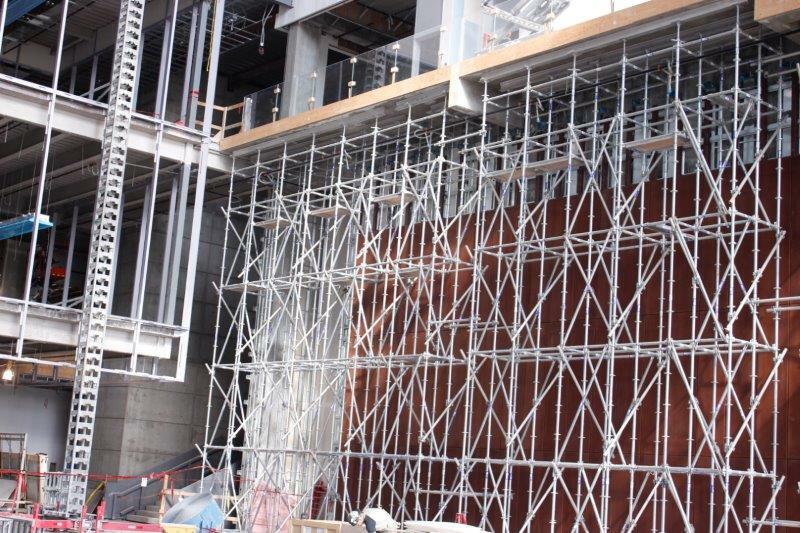 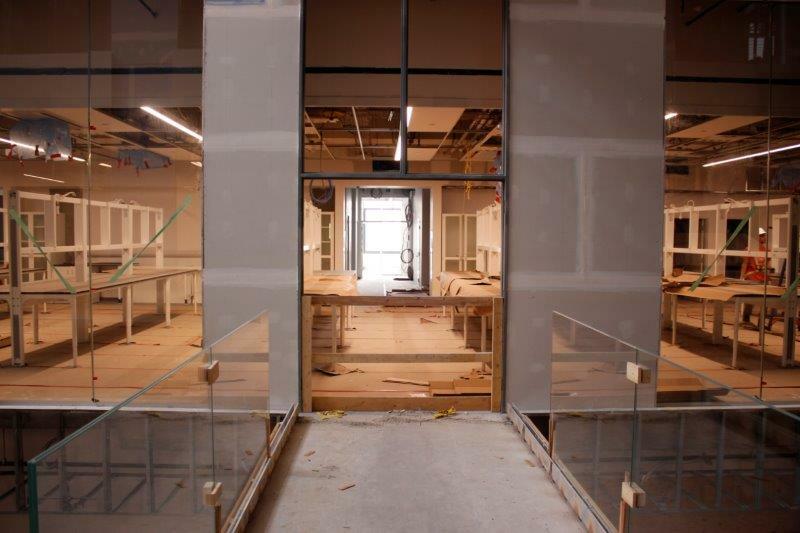 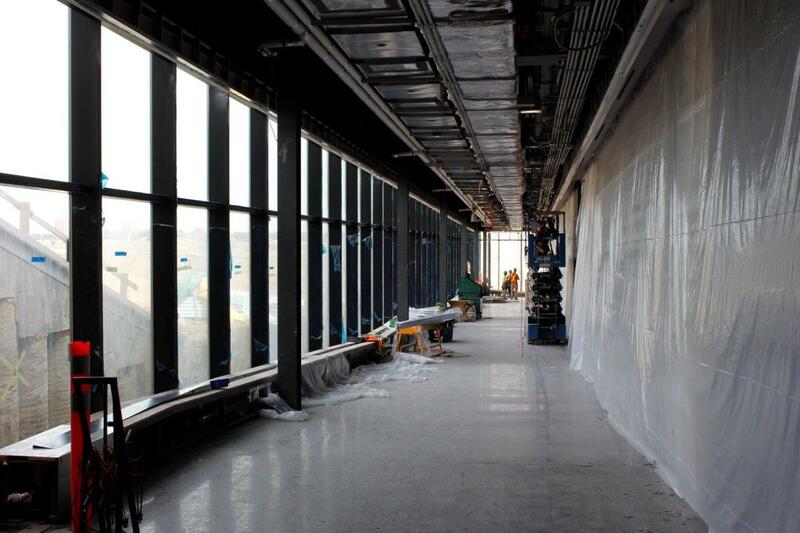 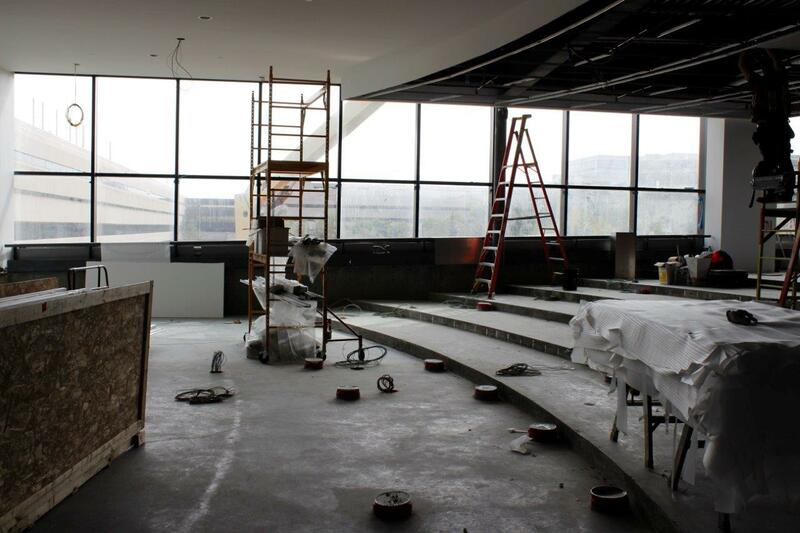 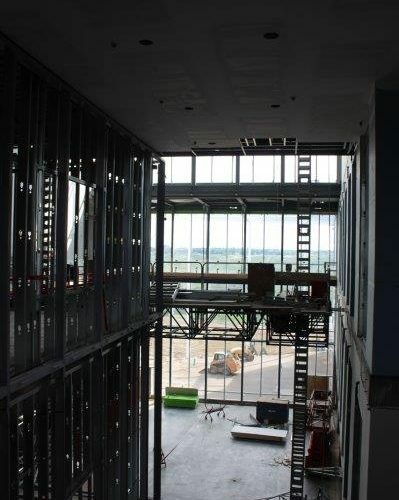 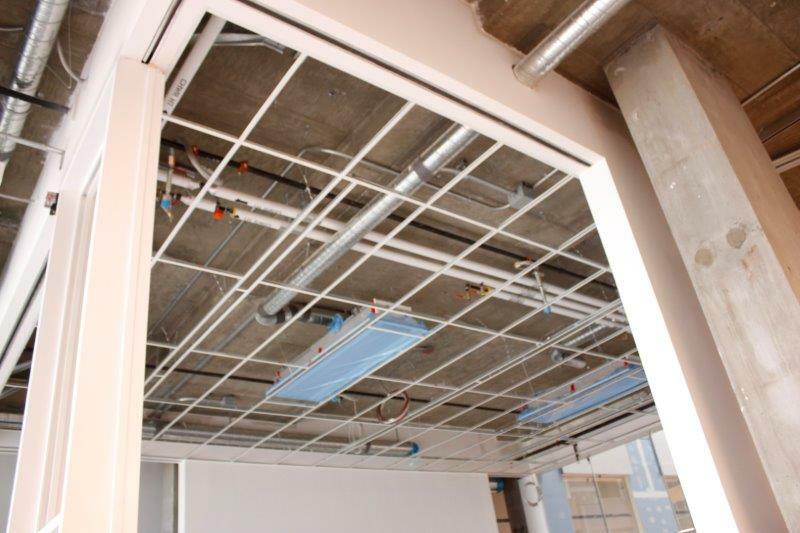 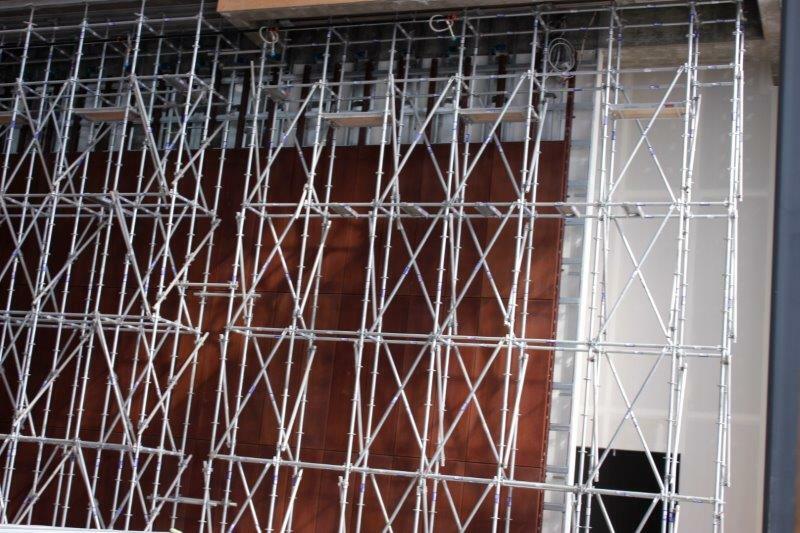 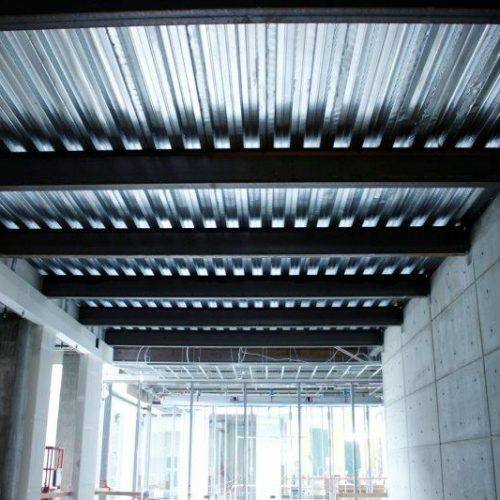 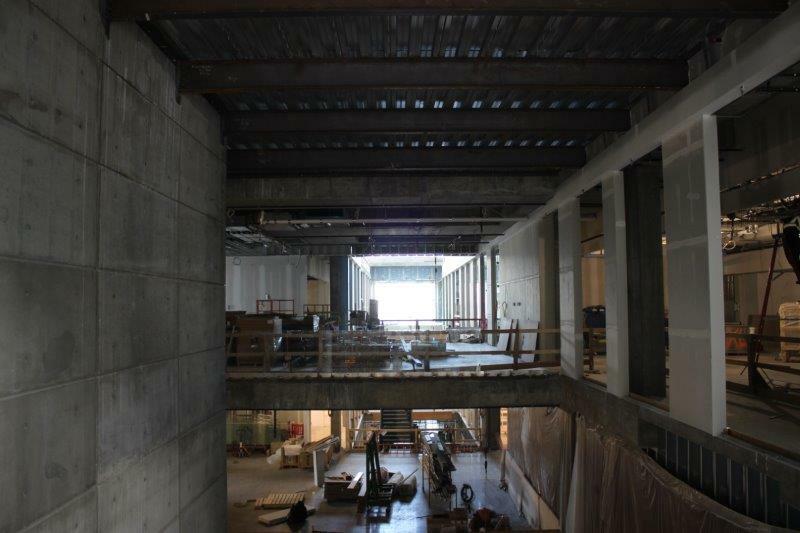 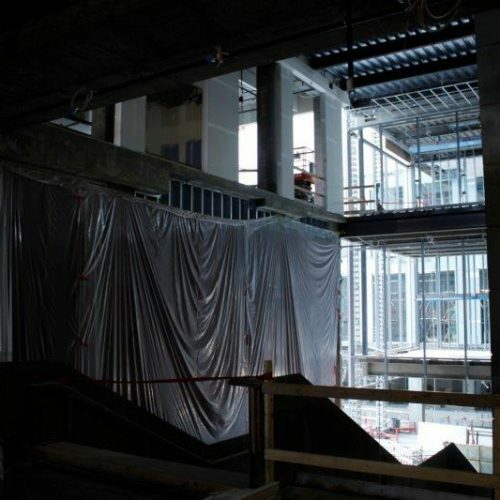 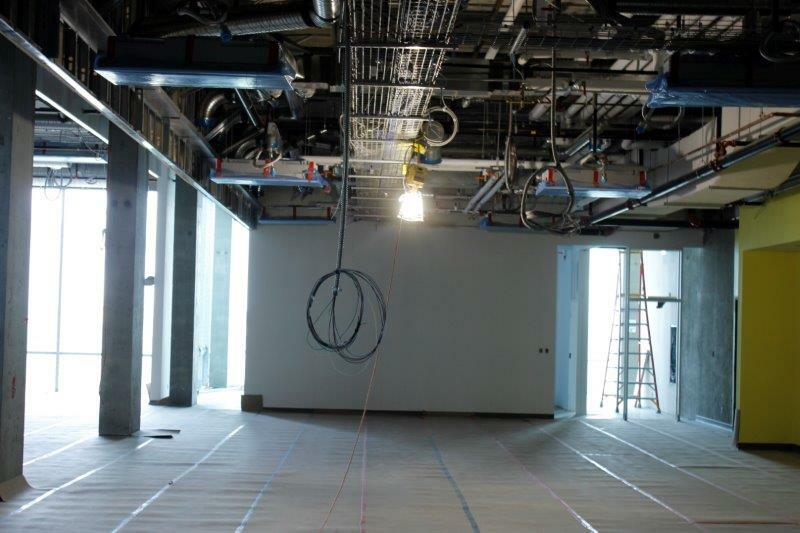 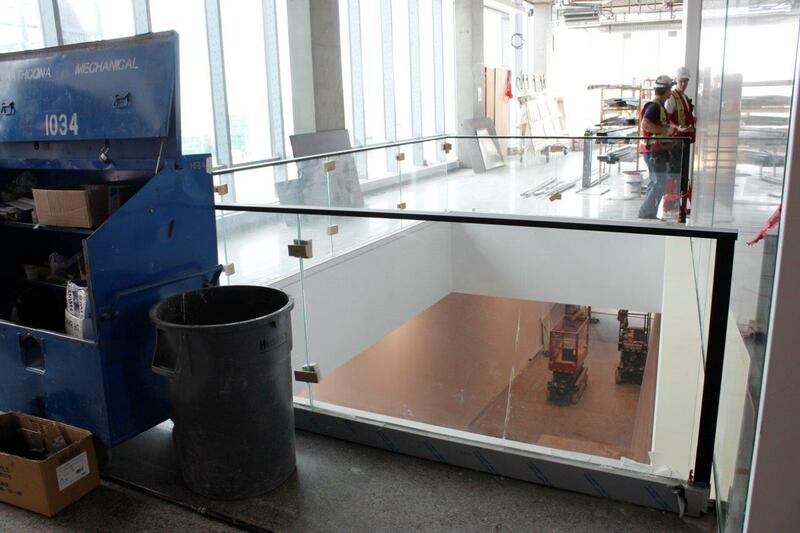 Construction is progressing quickly inside the Destination Project, Phase I. 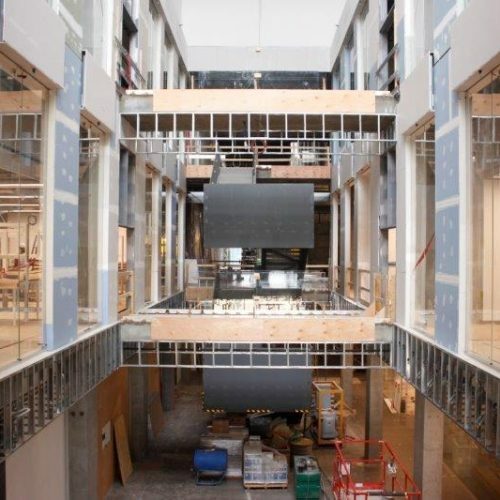 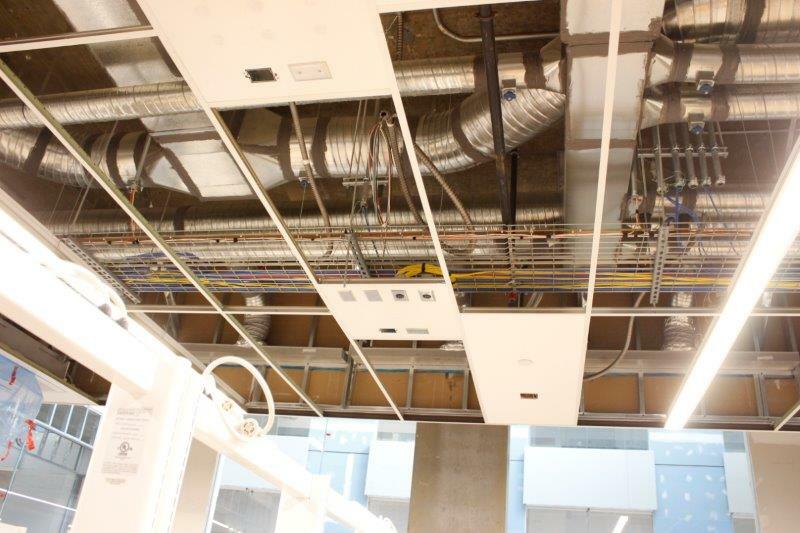 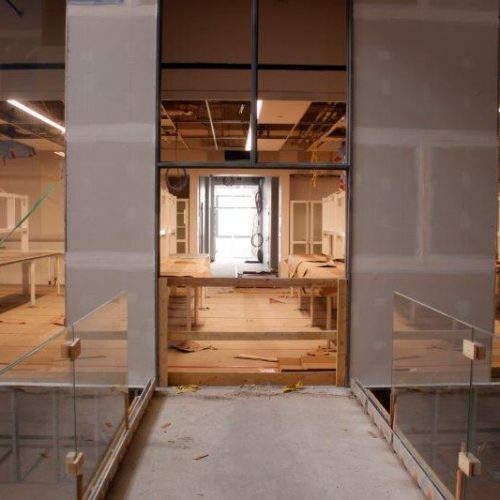 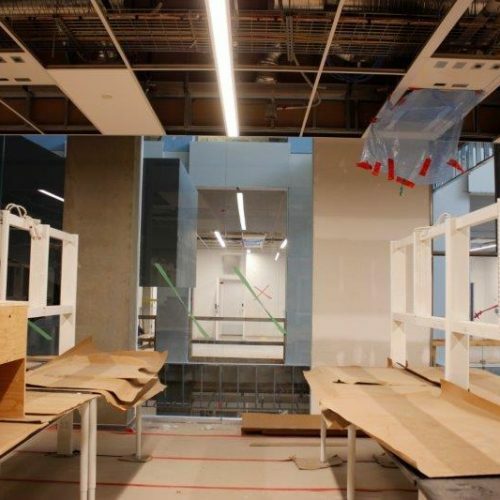 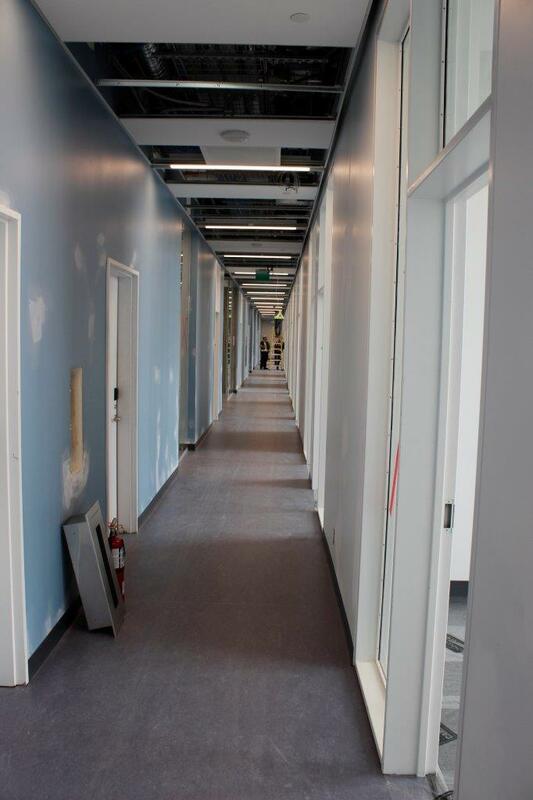 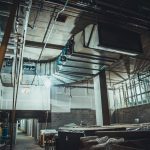 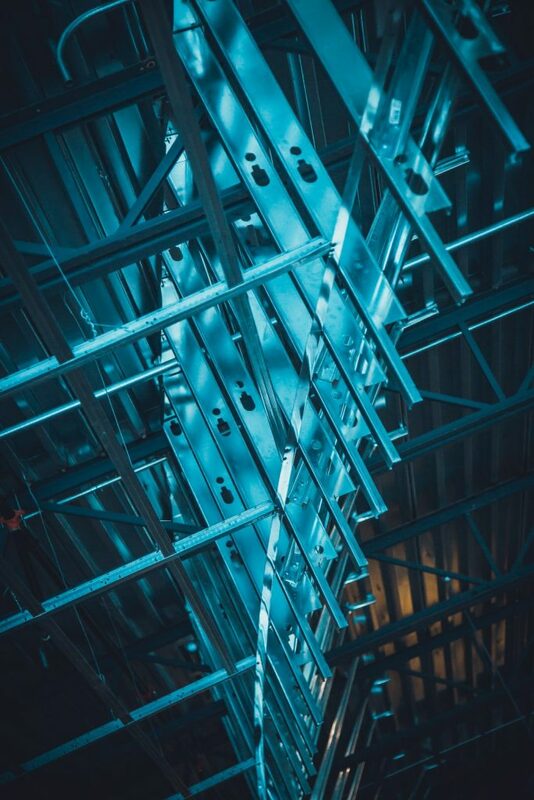 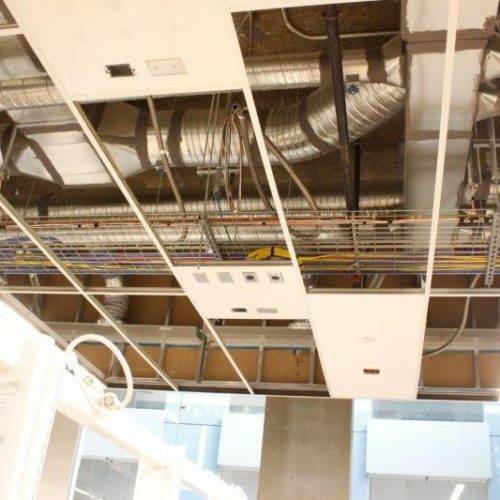 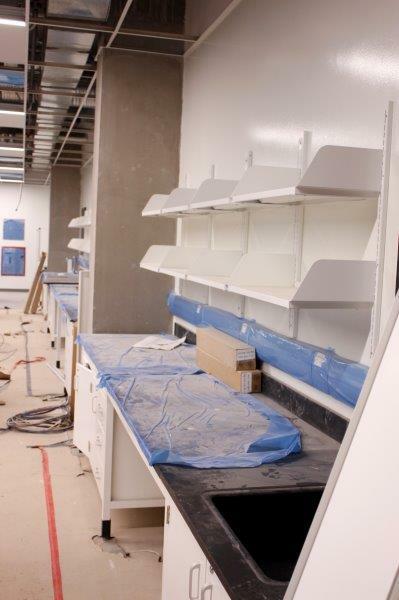 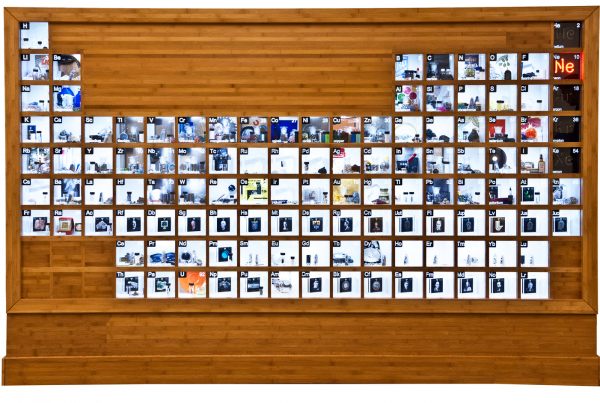 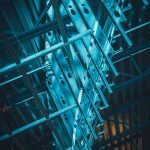 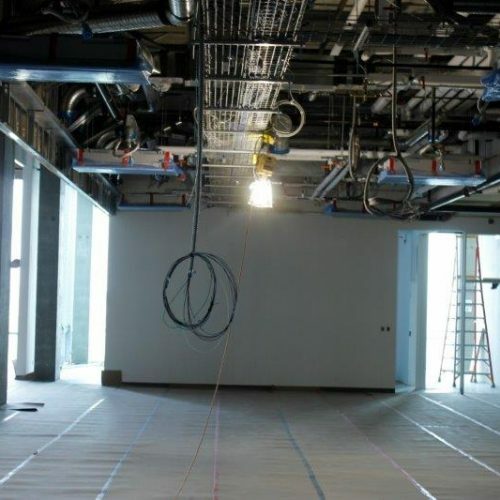 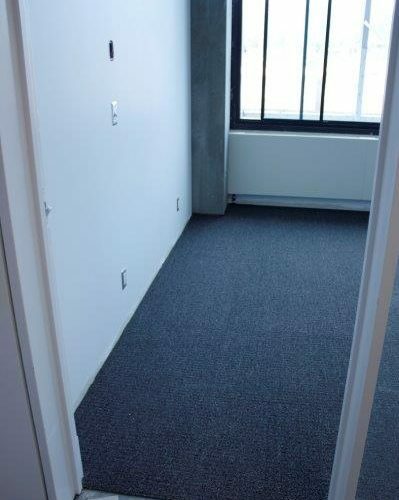 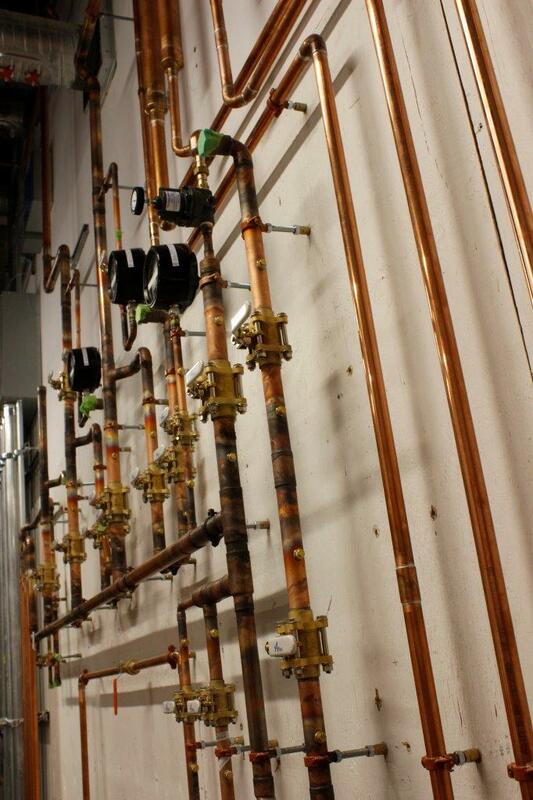 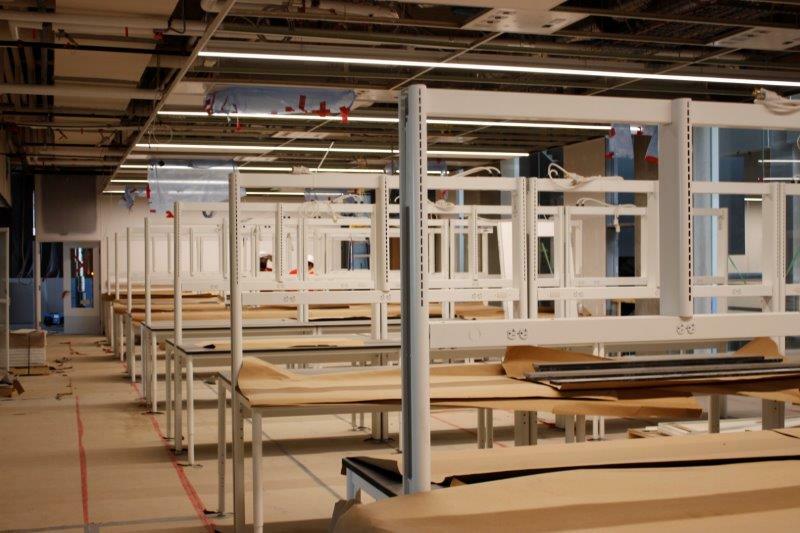 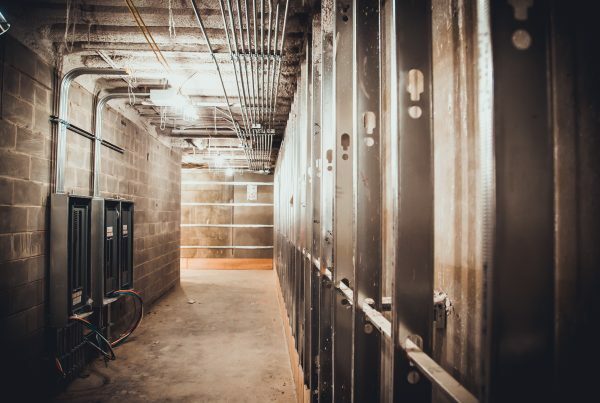 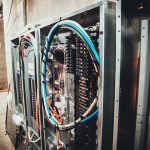 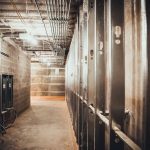 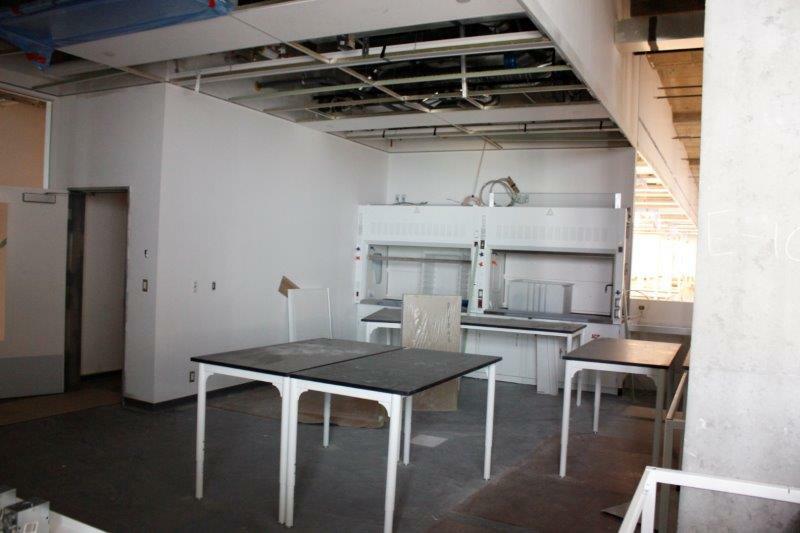 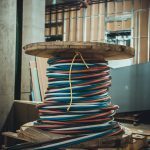 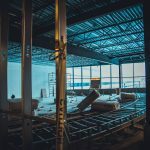 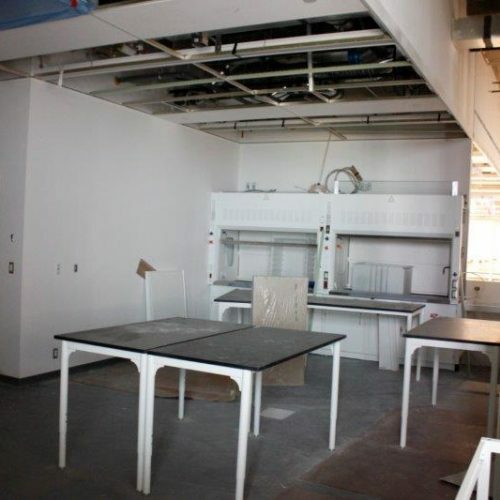 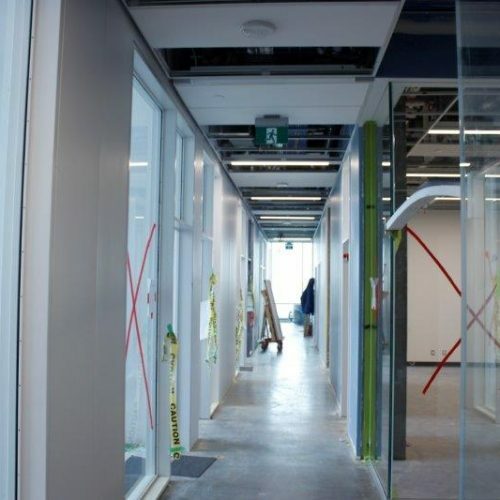 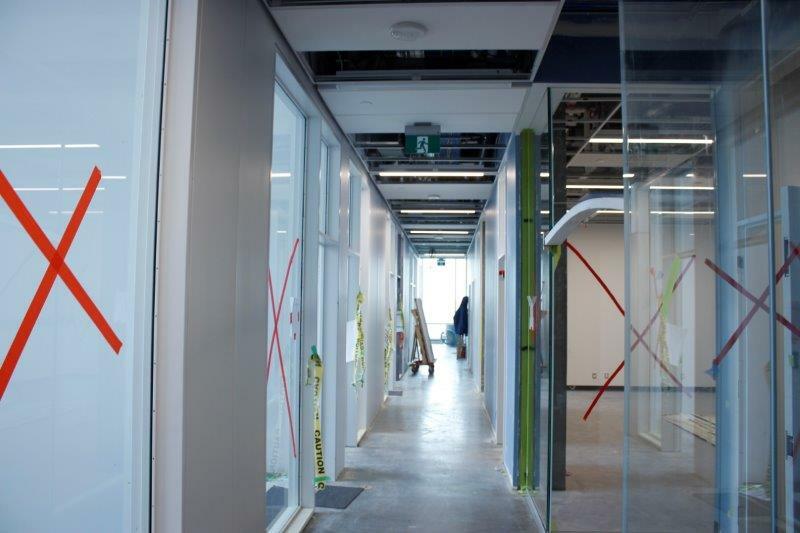 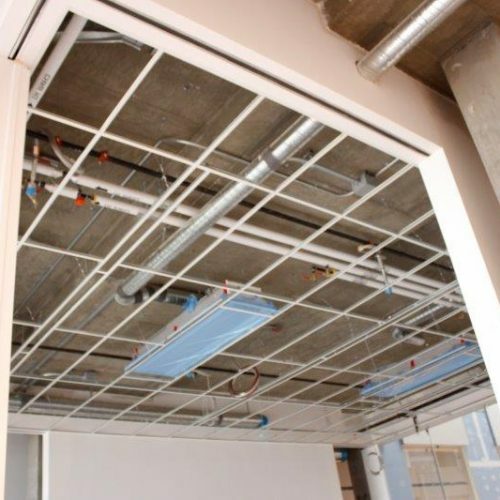 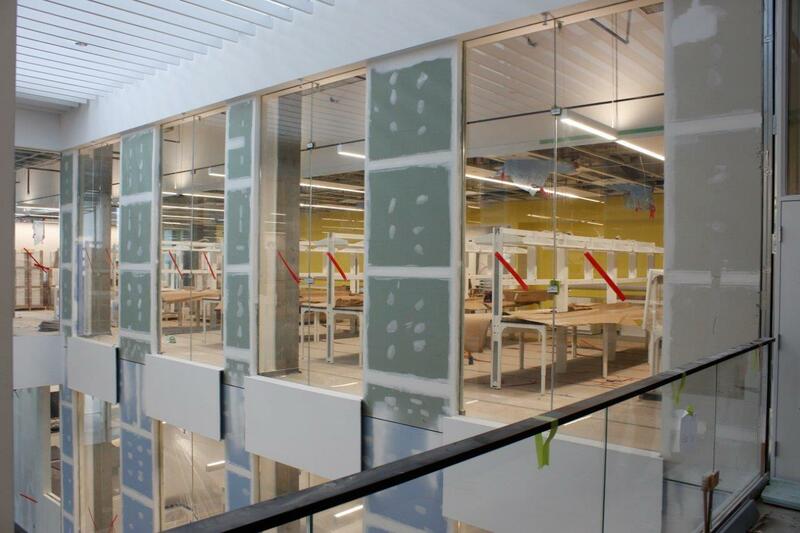 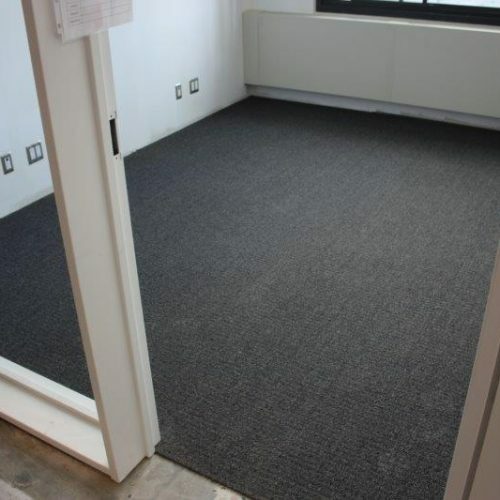 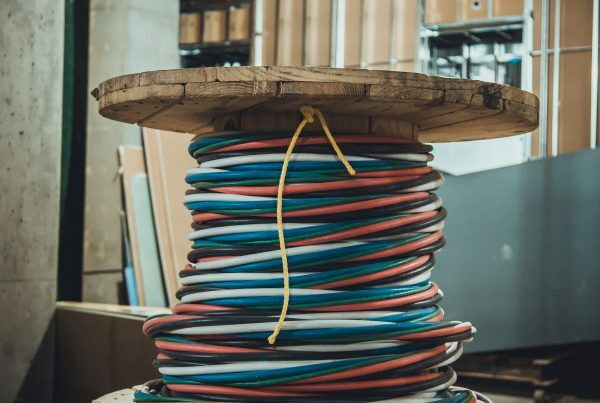 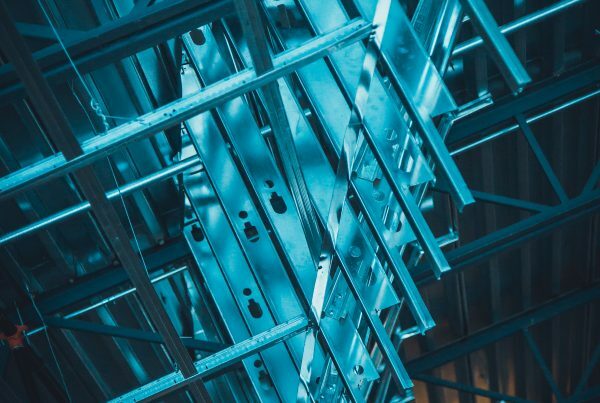 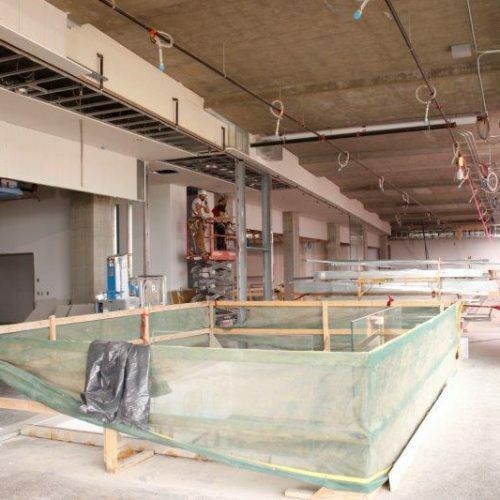 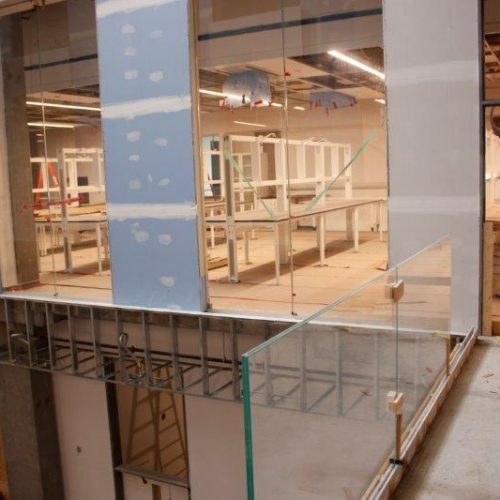 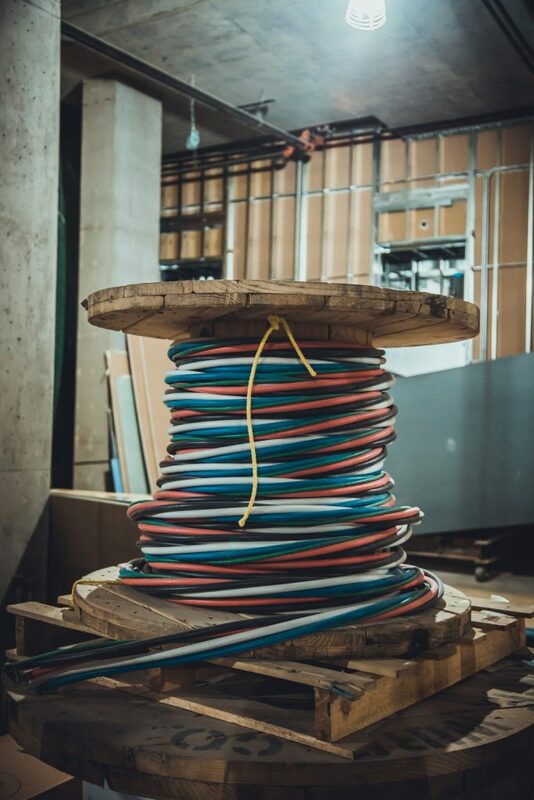 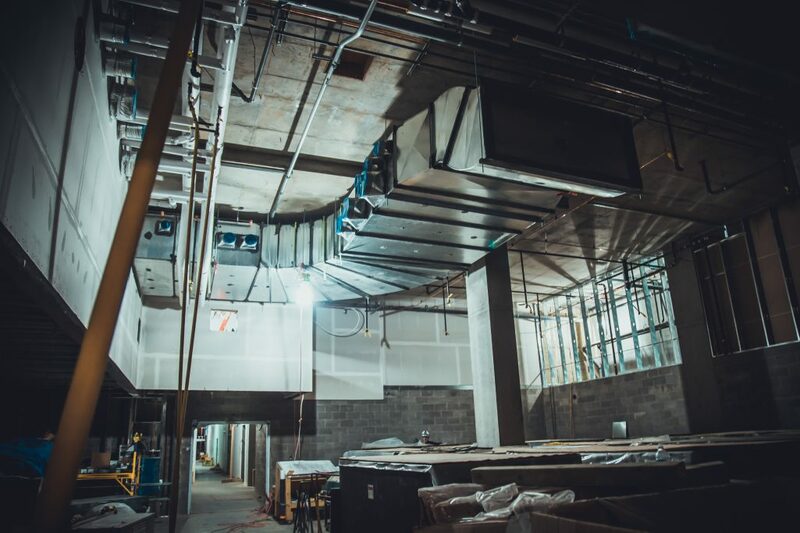 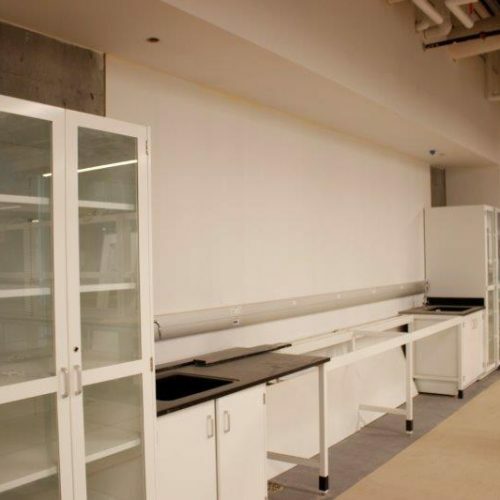 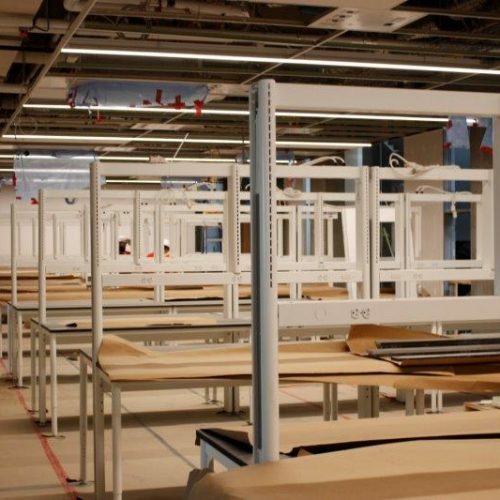 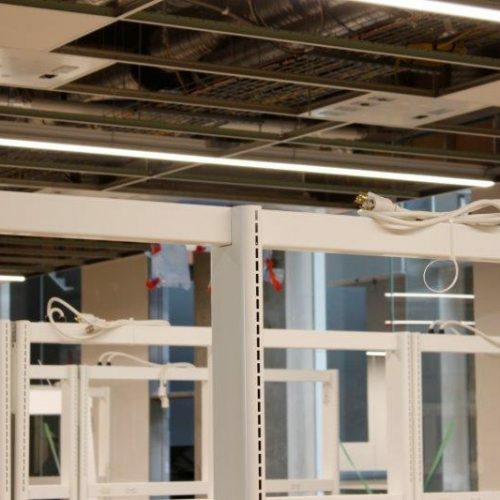 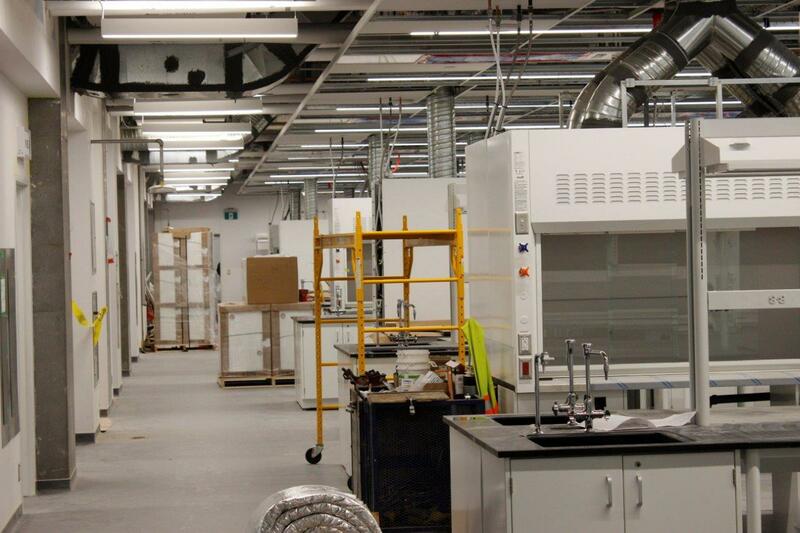 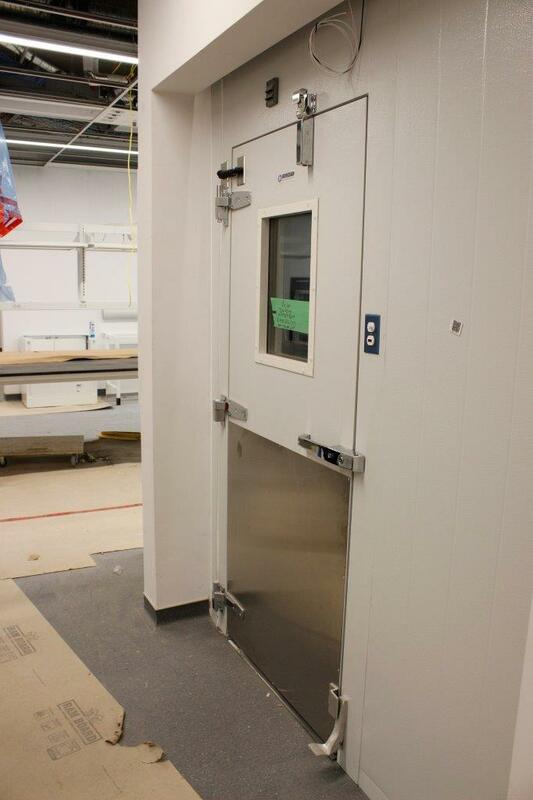 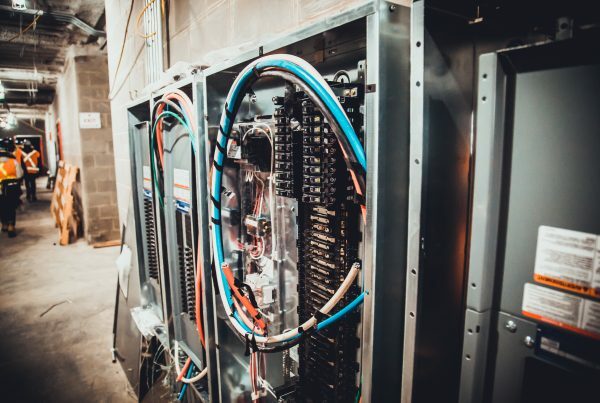 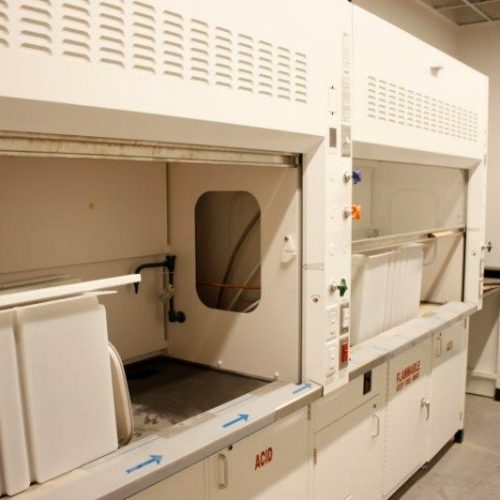 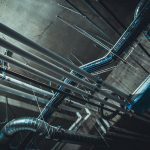 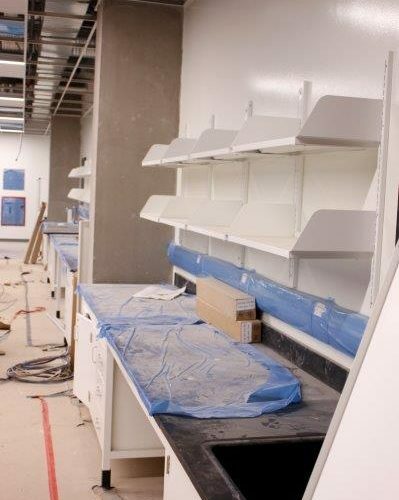 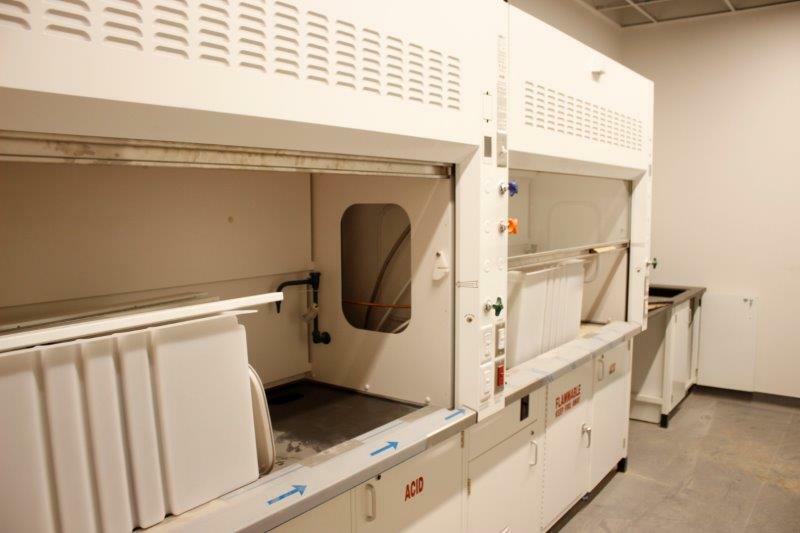 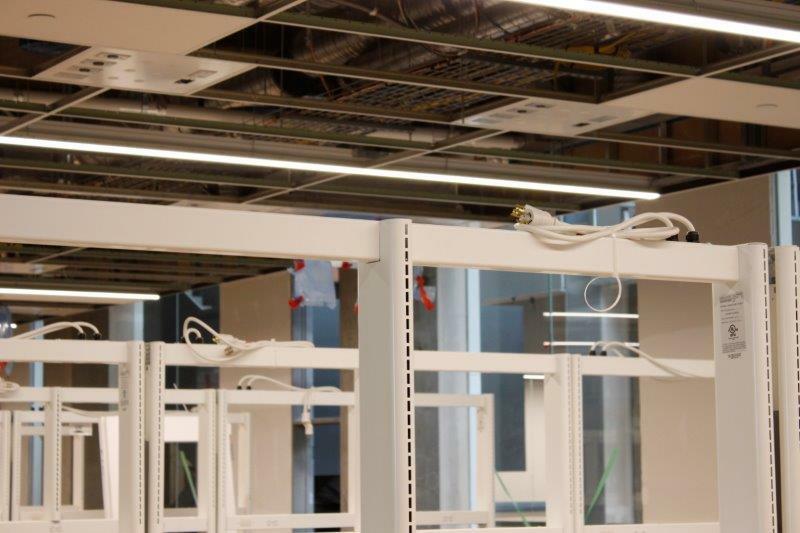 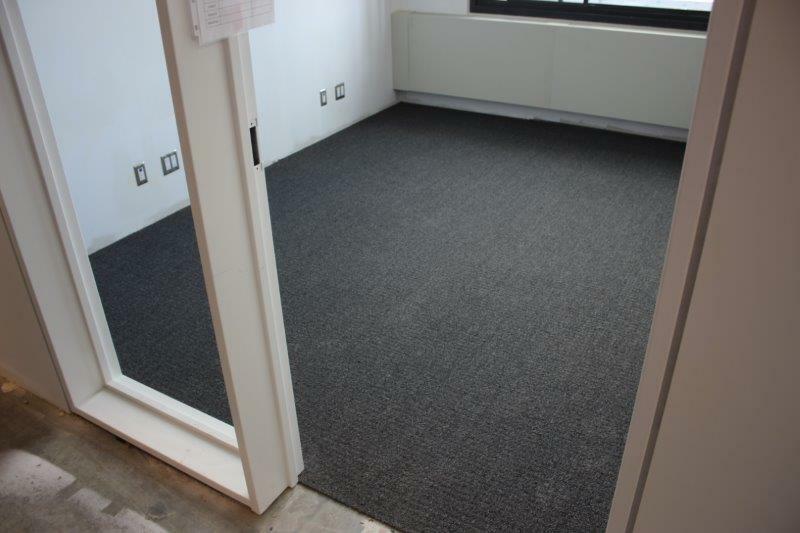 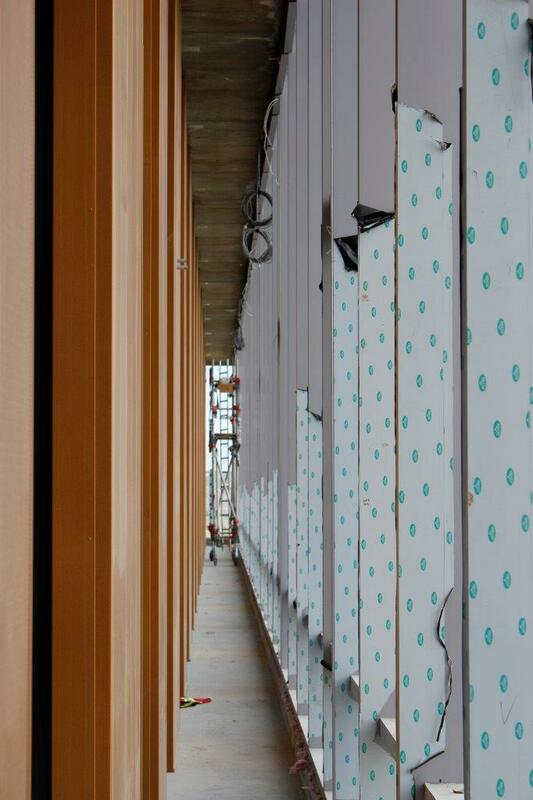 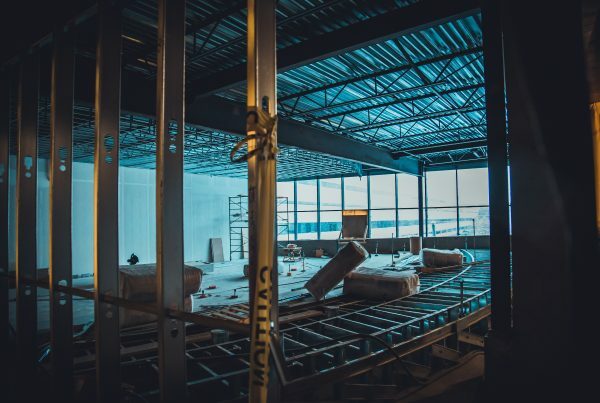 This summer photo tour shows you how labs are taking shape, offices are carpeted, and finishes are getting installed on floors, ceilings and walls. 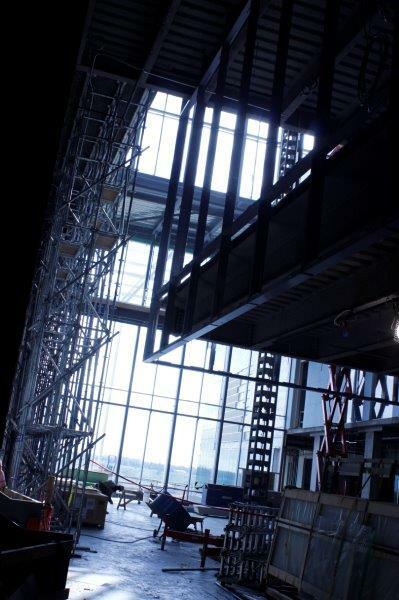 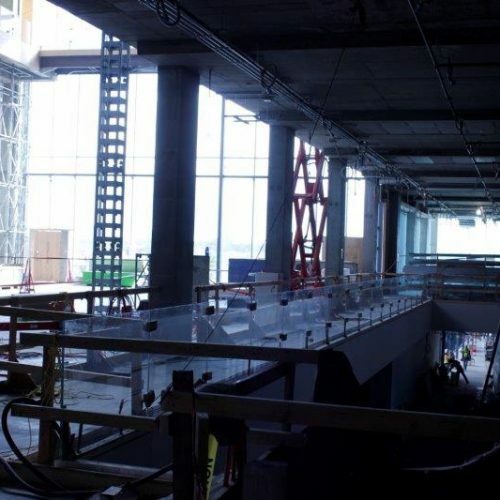 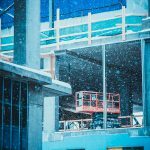 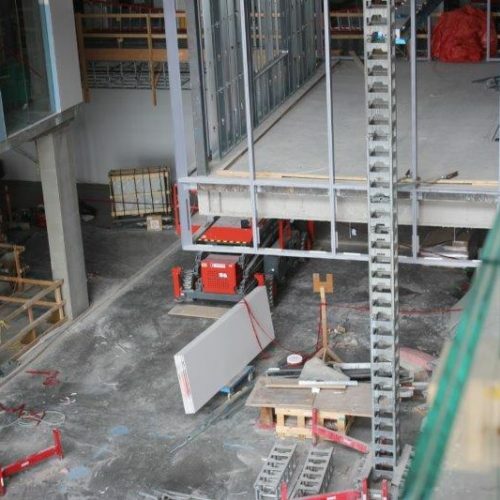 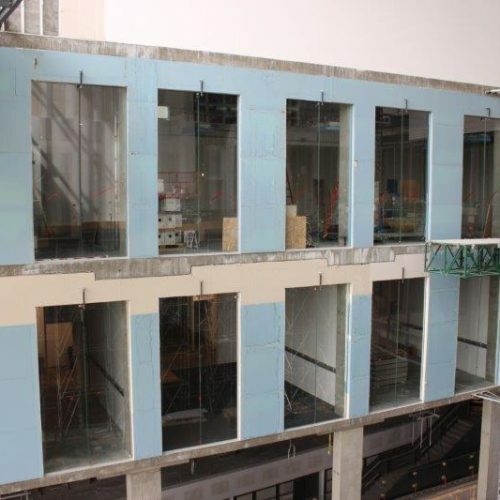 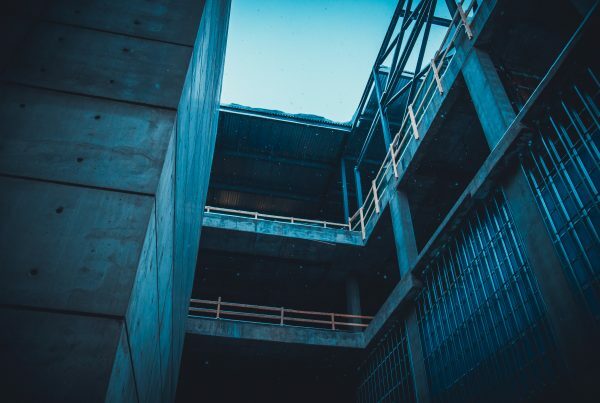 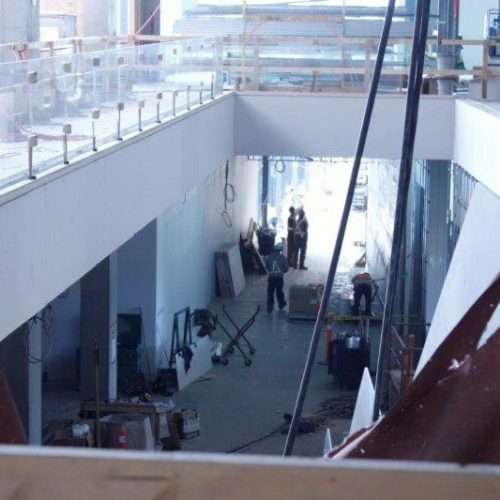 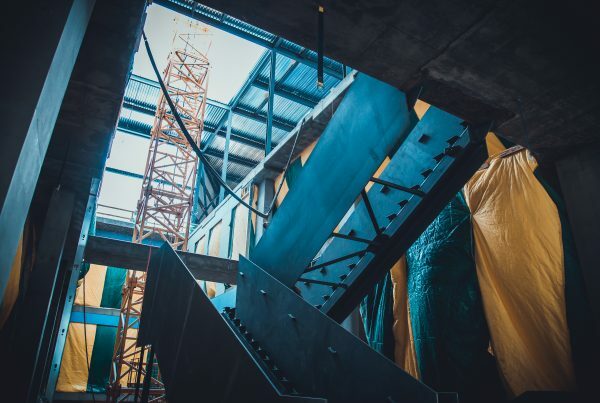 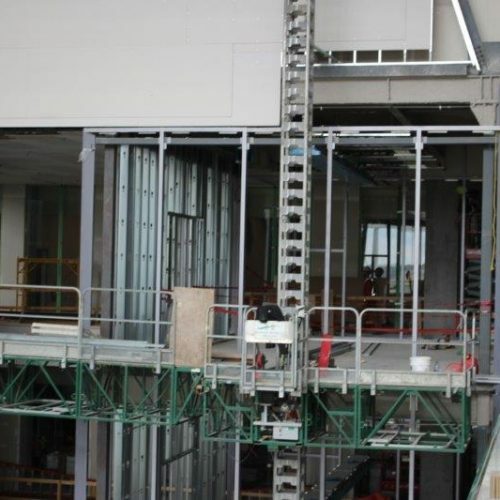 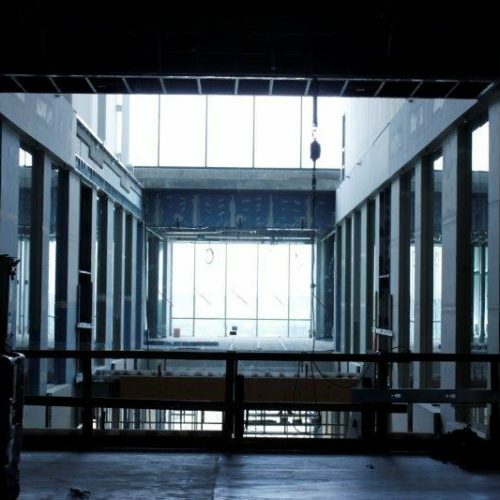 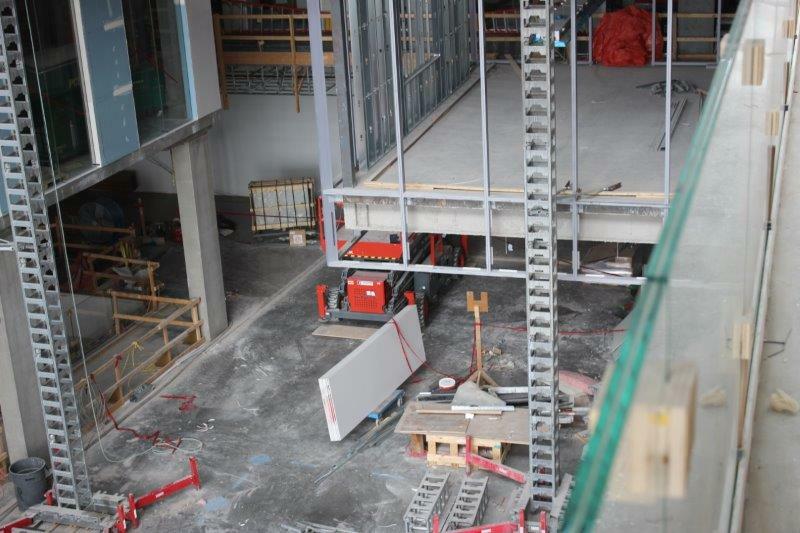 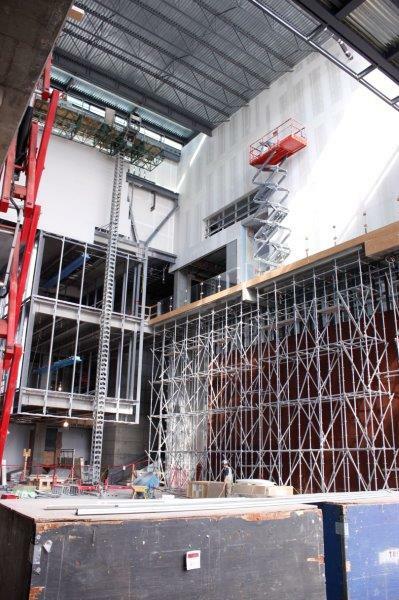 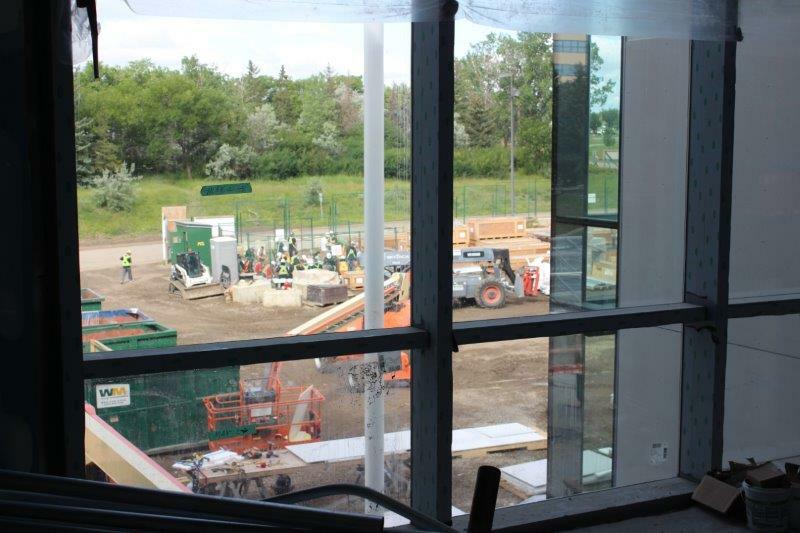 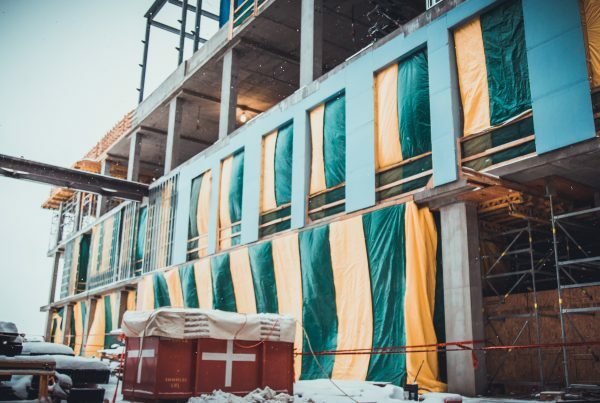 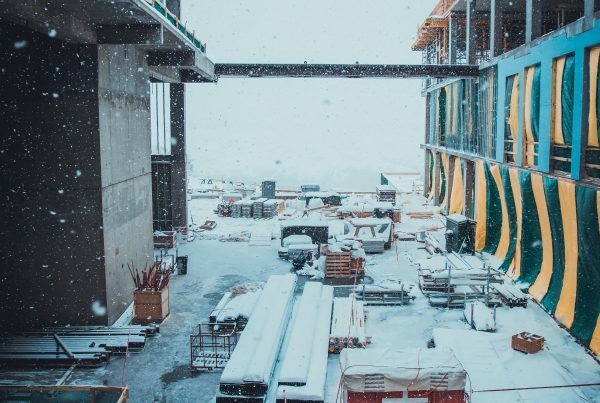 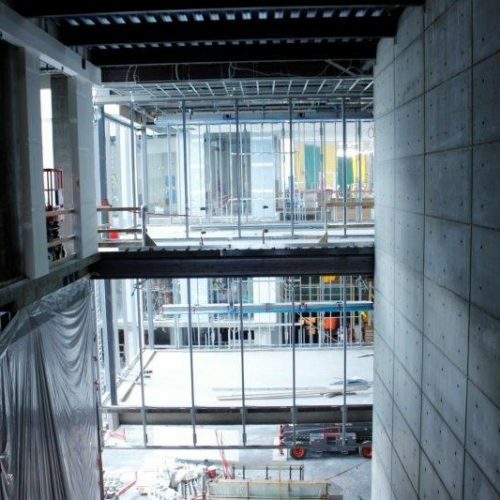 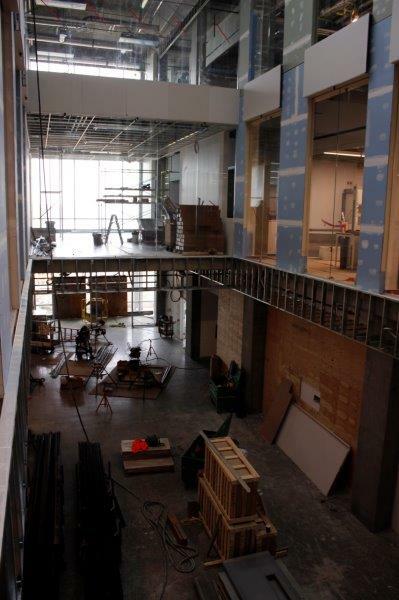 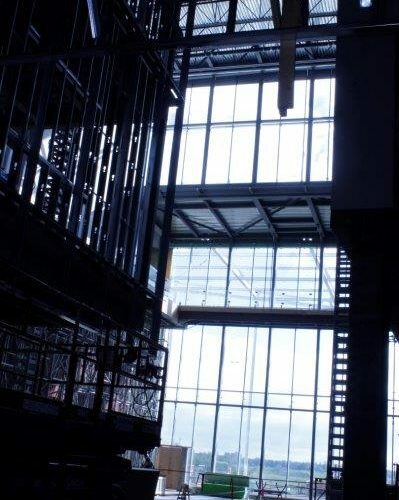 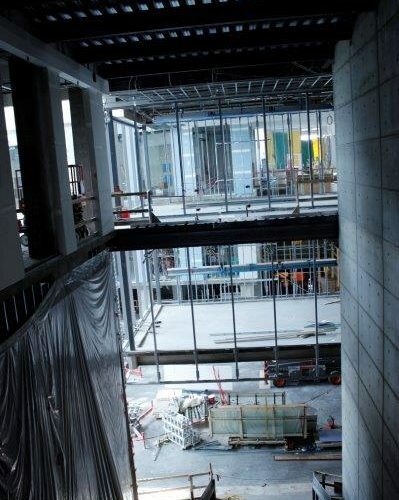 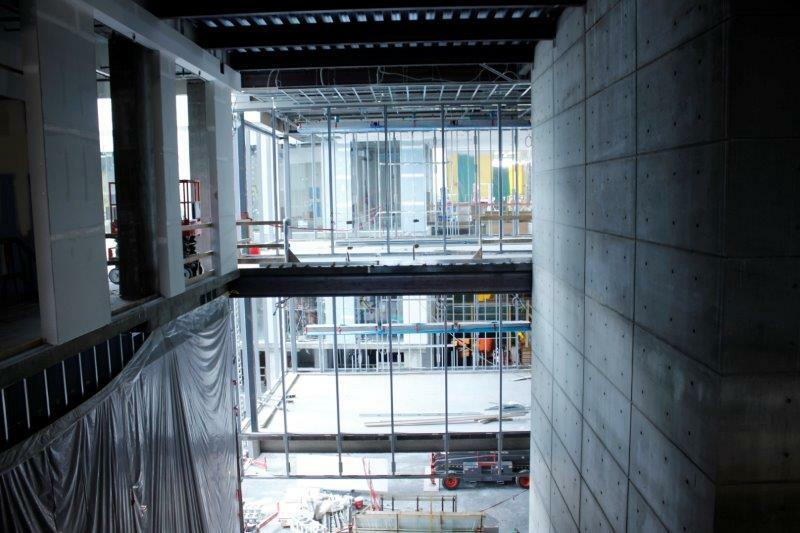 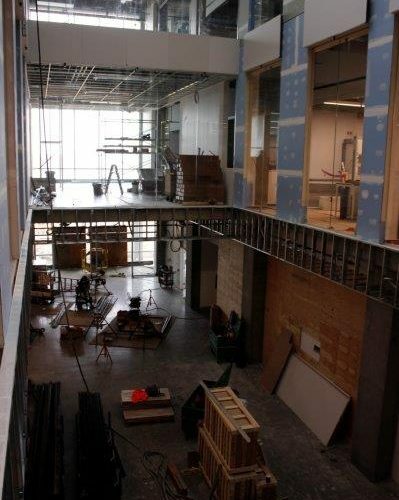 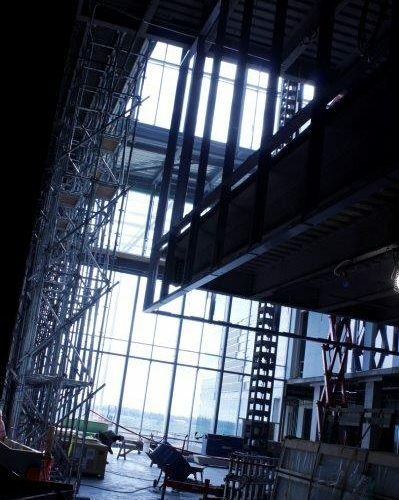 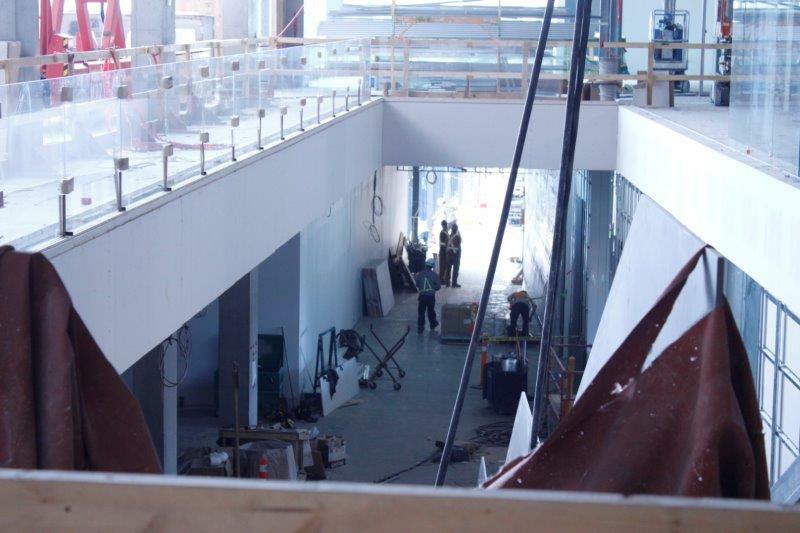 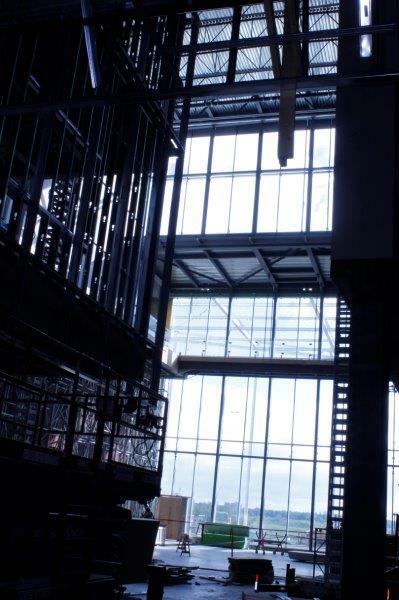 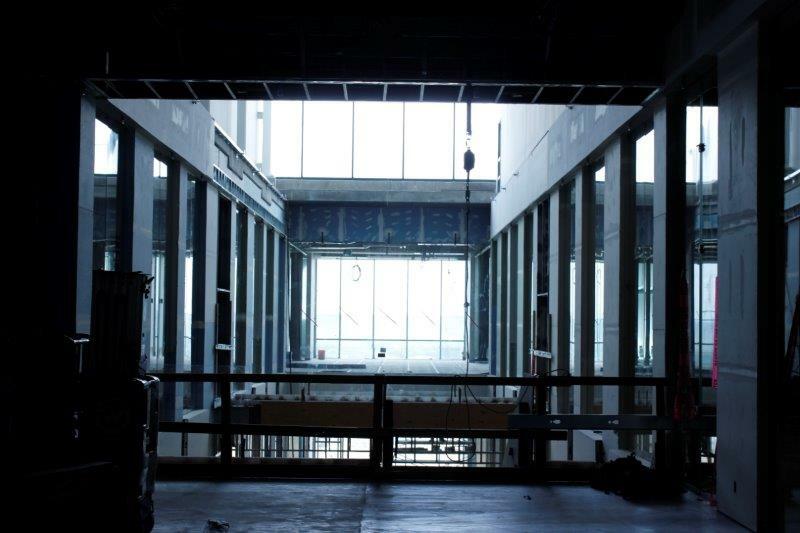 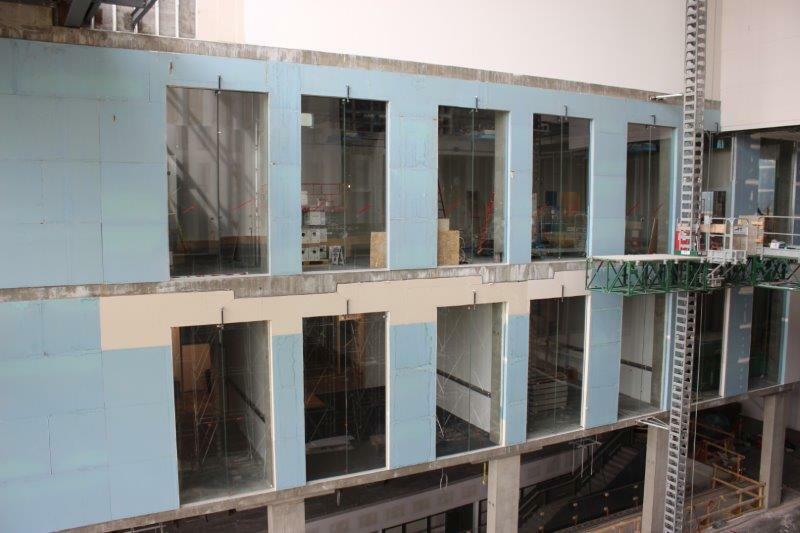 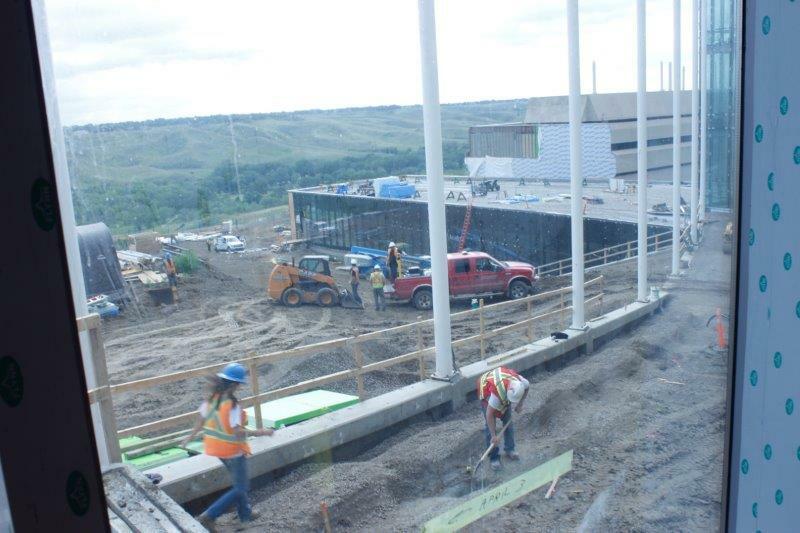 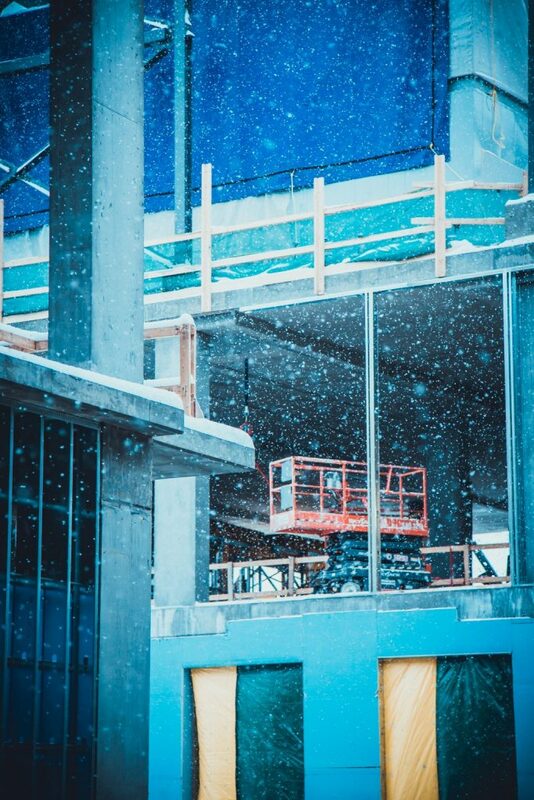 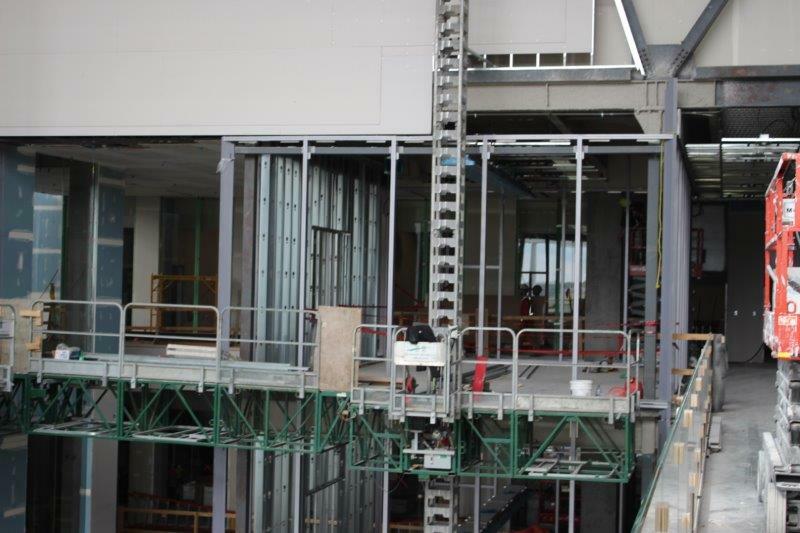 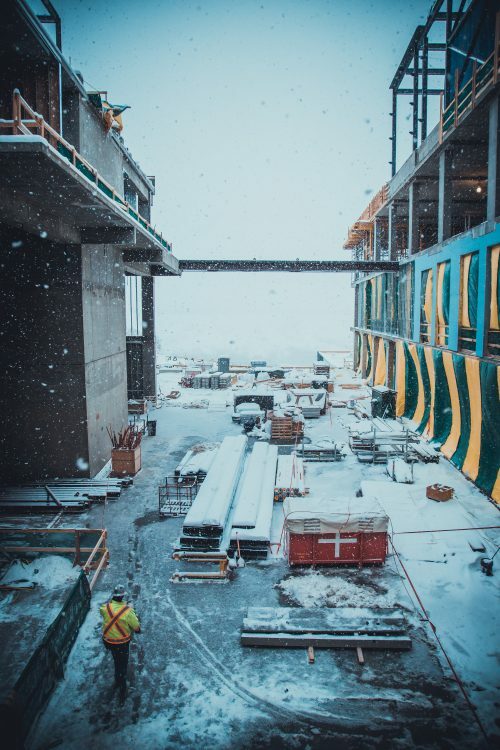 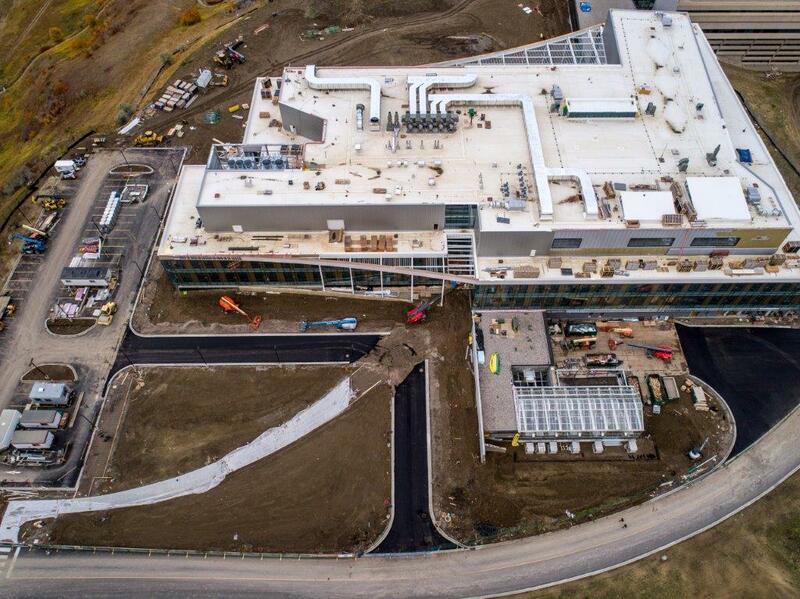 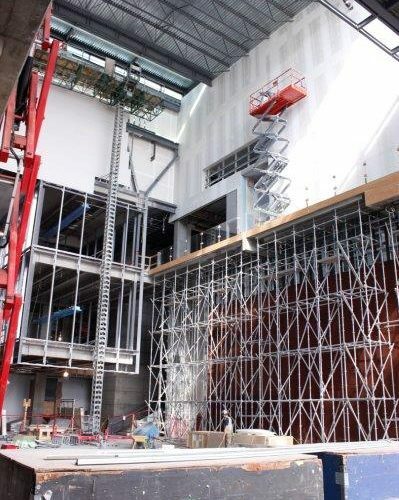 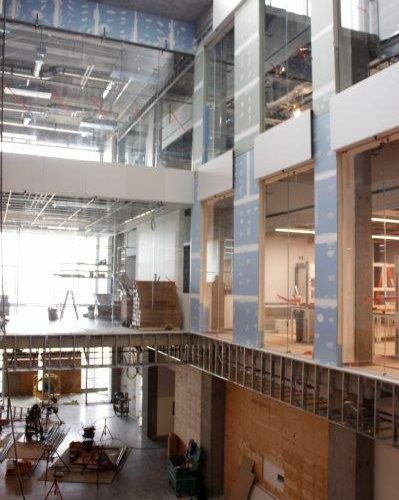 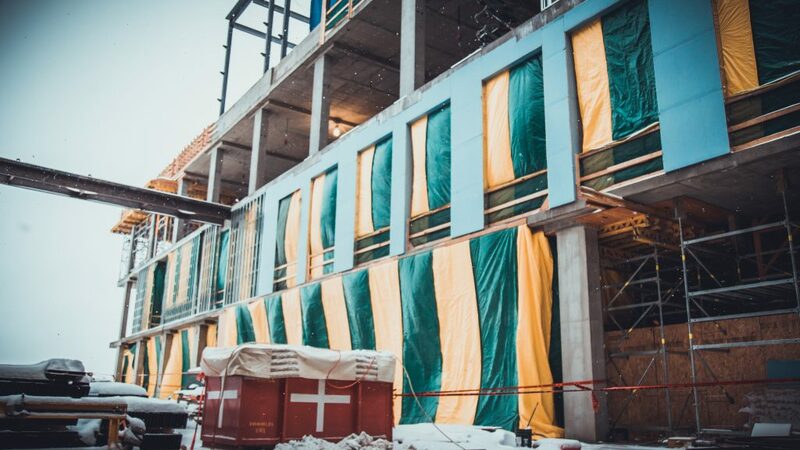 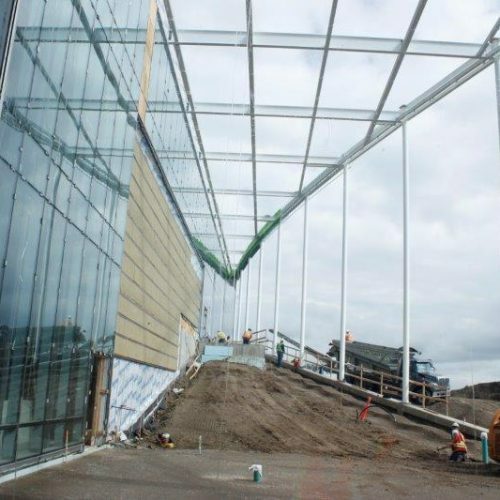 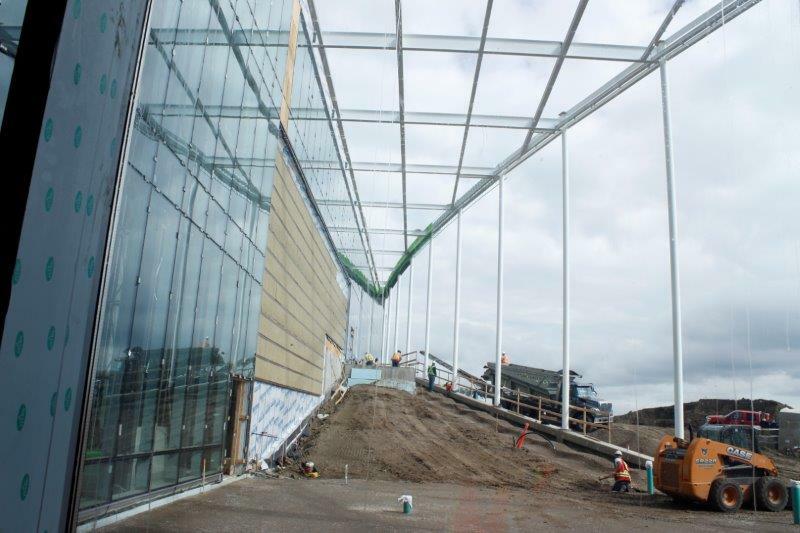 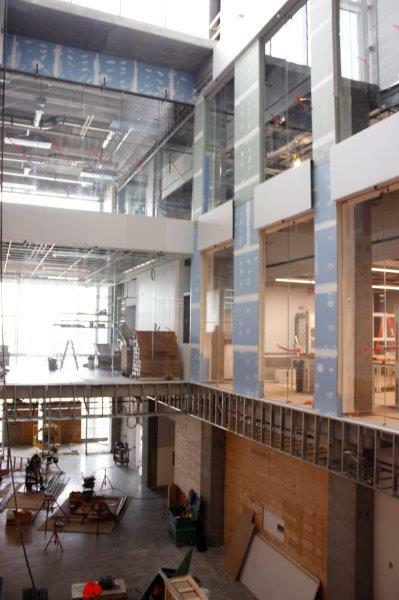 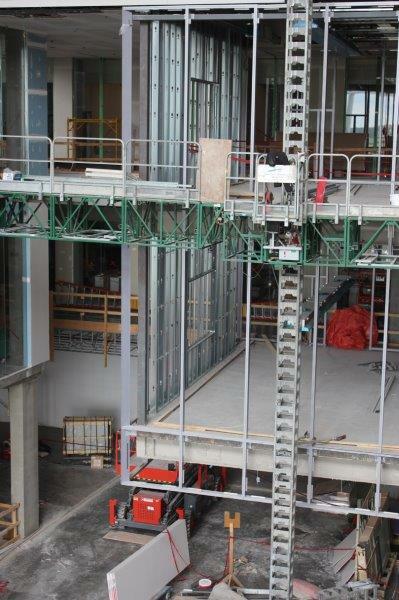 The flurry of activity outdoors has almost completely moved indoors as almost 500 workers construct the Science and Academic Building. 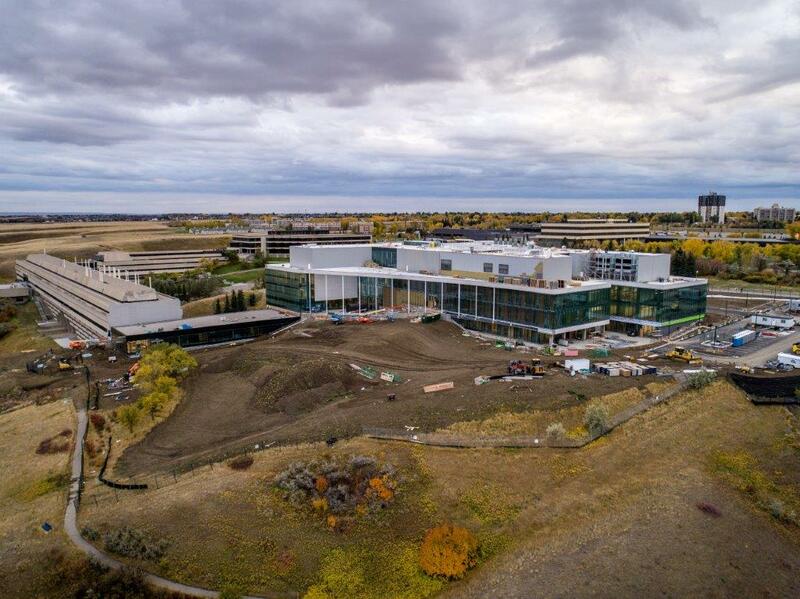 The look and scope of scientific discovery are set to be transformed in the fall of 2019 as the University of Lethbridge opens the new science and academic building. 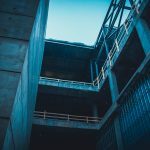 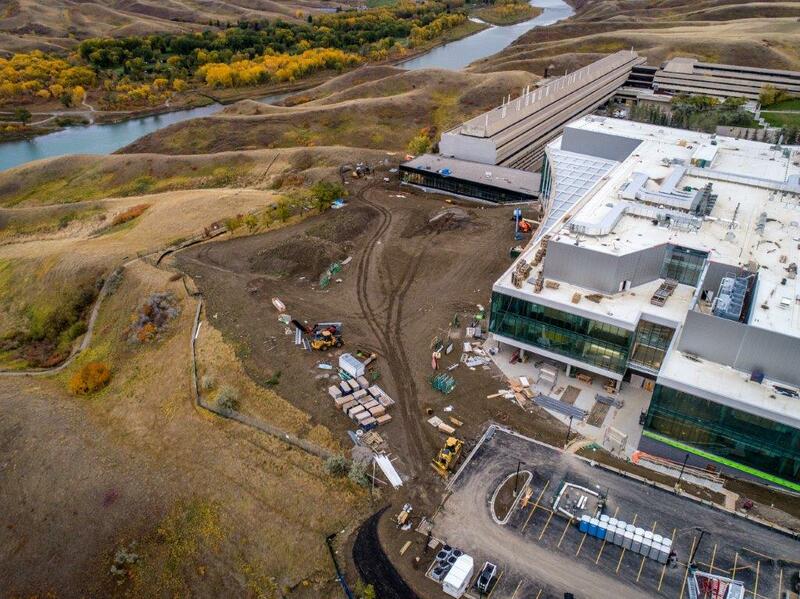 One of the most advanced facilities for teaching and researching the sciences in the country, the new addition to the Lethbridge campus is the largest construction project to take place since University Hall was completed in 1971. 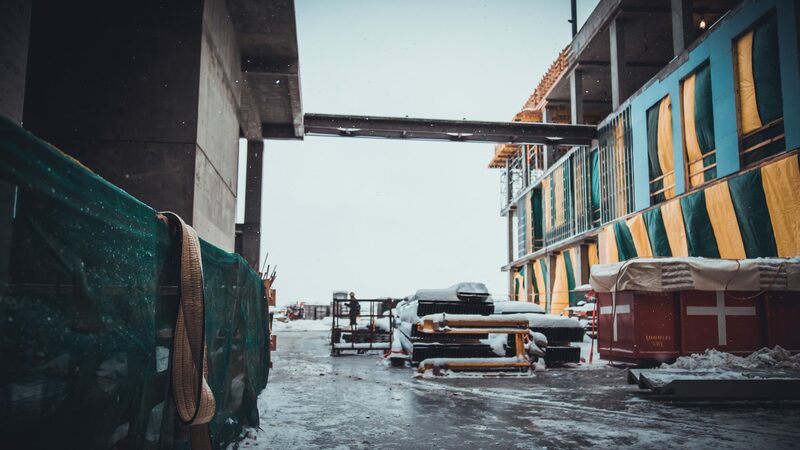 Sustainably designed with local climate in mind, students, faculty and community will come together under one roof to create, inquire and discover. 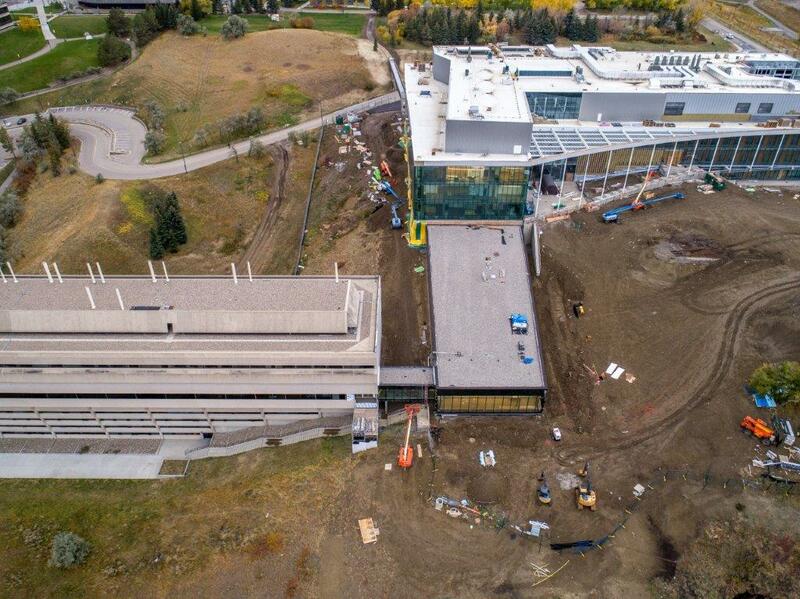 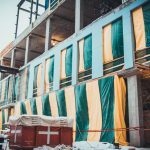 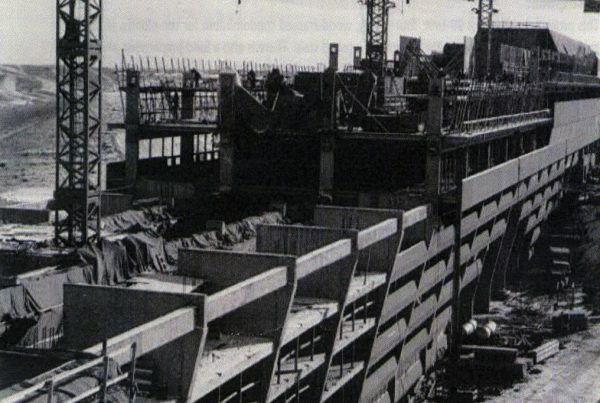 Now more than 50 per cent complete, the science and academic building has been under construction for nearly two action-packed years. 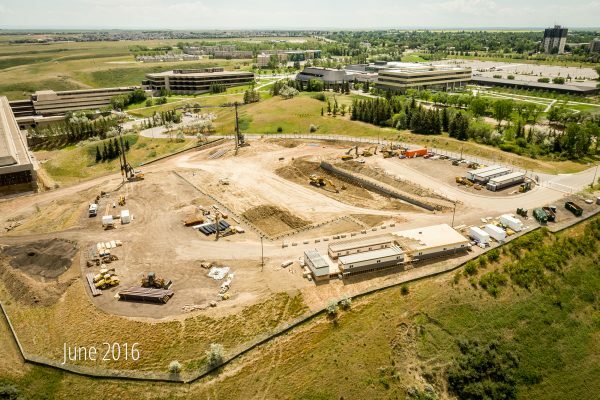 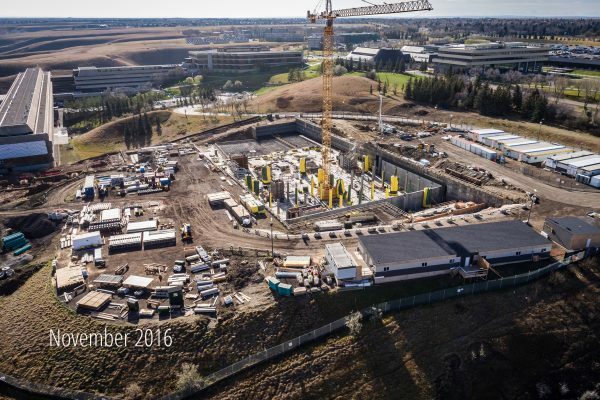 The buzz of excitement in the campus community is building with every construction milestone achieved. 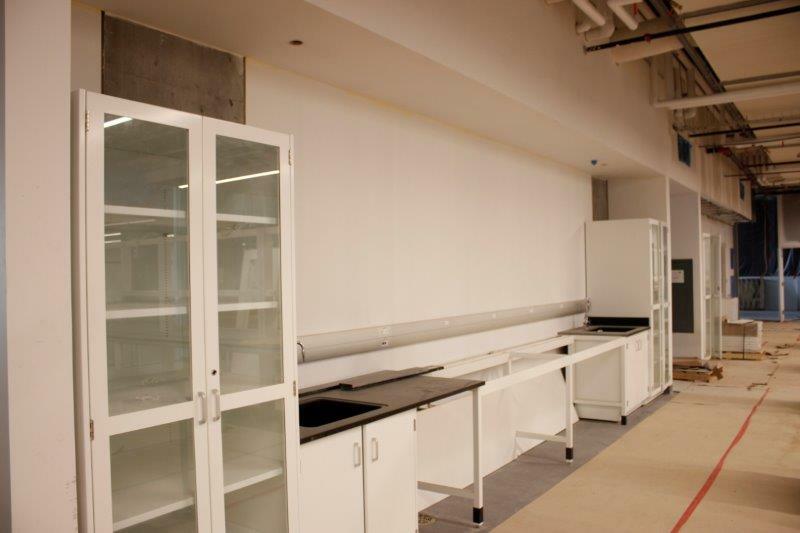 A home for innovation and discovery, one of the major design principles was to encourage and foster research between the sciences. 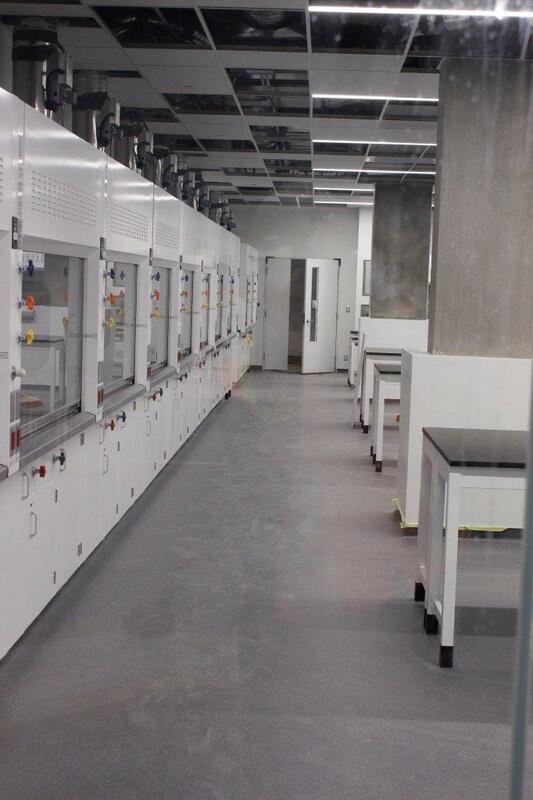 The open and flexible laboratory environments allow this to become a reality. 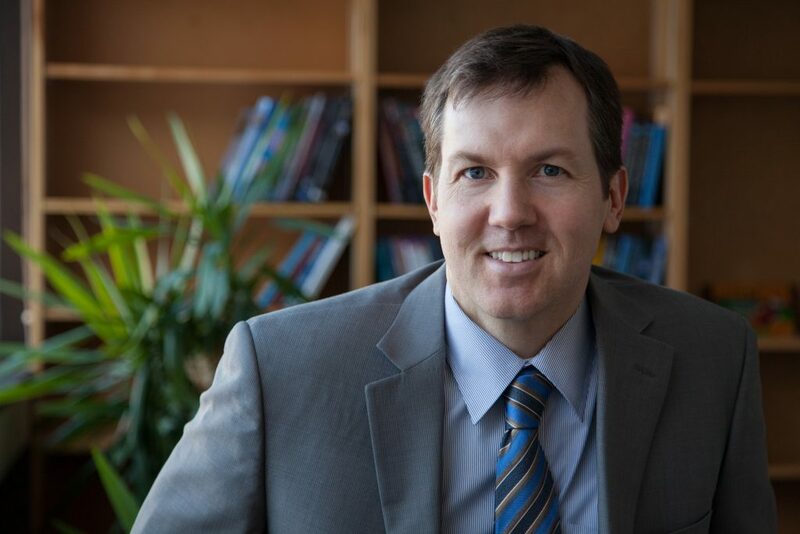 Professor and Associate Chair of the Department of Physics and Astronomy Dr. Dan Furgason says with this new way of working and learning, the opportunities for transdisciplinary collaborations and ideas will flourish and give students and faculty innovative ways to problem solve with more resources available than ever before. 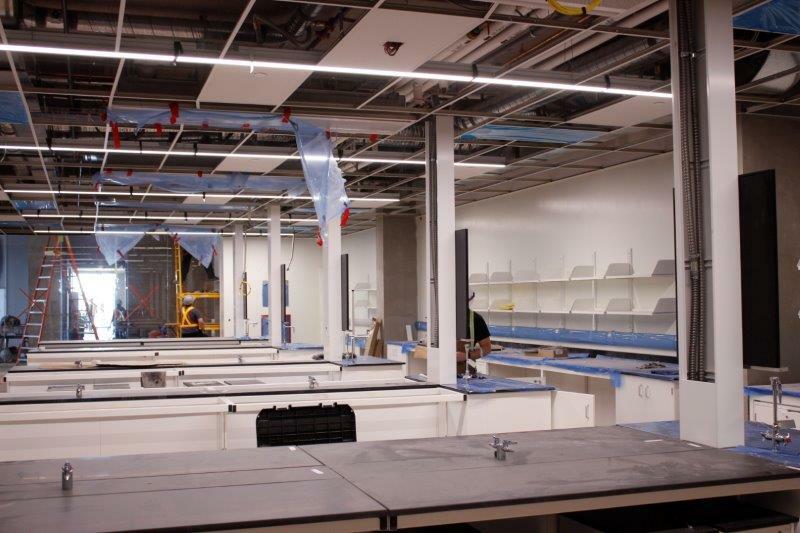 It’s not just U of L students who will benefit from this leading centre for science and academics; students of all ages will join them in discovery. 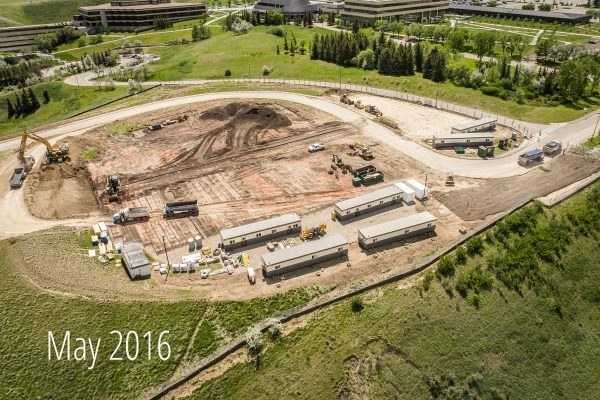 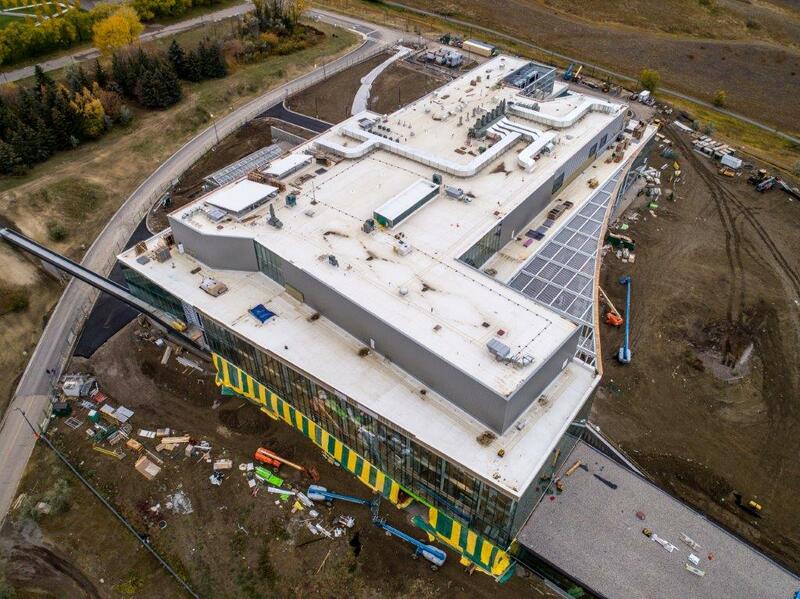 Elementary and high school students from around southern Alberta will have a home for innovation. 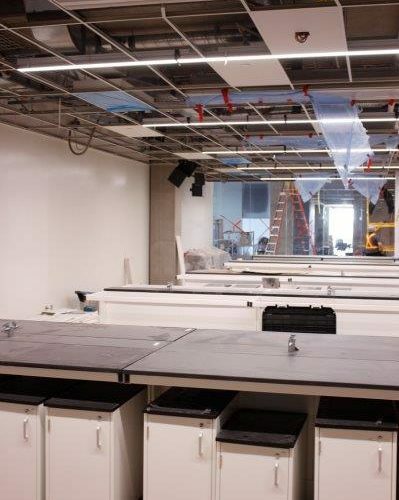 Science outreach programs are expanding in a dedicated learning facility aimed at igniting the spark of science in the researchers of tomorrow. 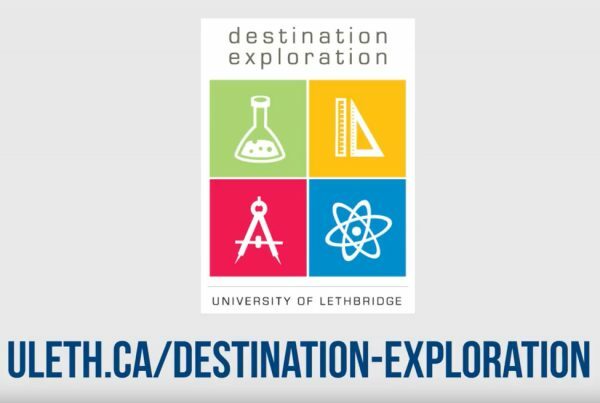 Community outreach programs like Destination Exploration and Let’s Talk Science enable southern Alberta to develop individuals who are creative and innovative discoverers, leaders and independent learners, who are well prepared to contribute significantly to their local, national and global communities, right here at home. 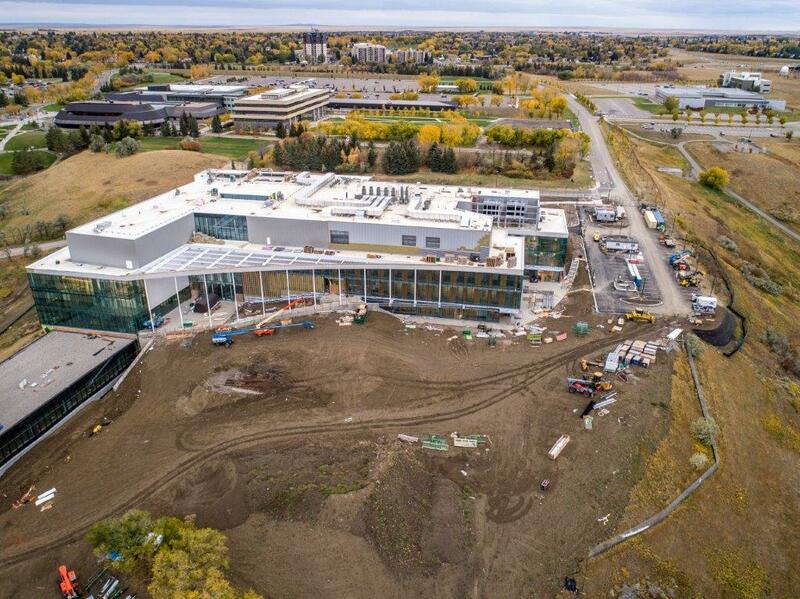 As the new science and academic building grows, so too do the economic benefits to southern Alberta. 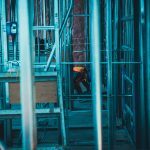 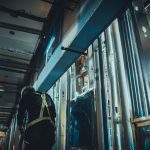 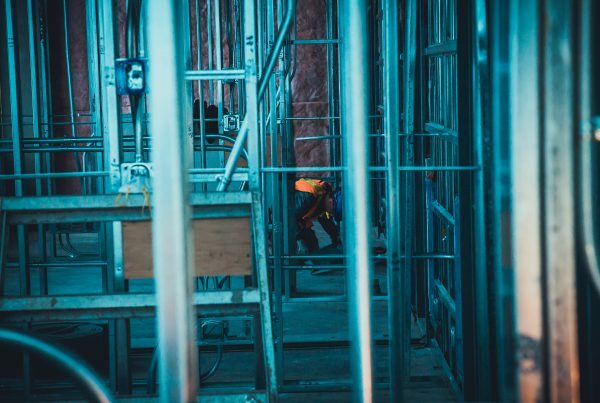 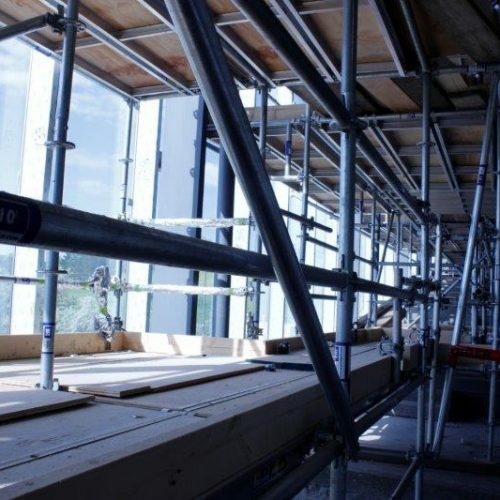 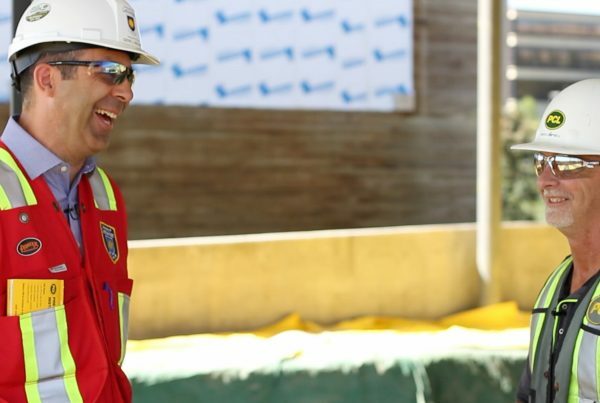 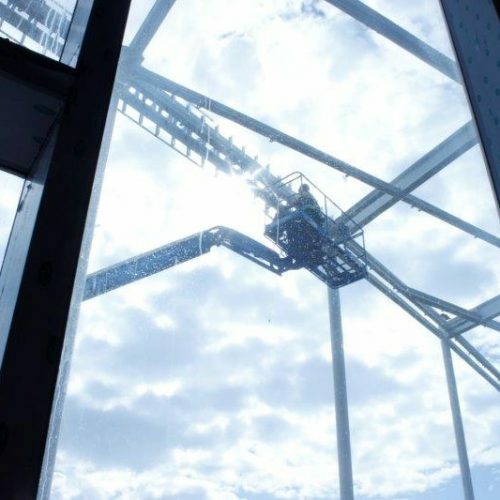 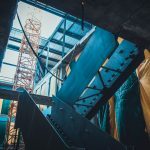 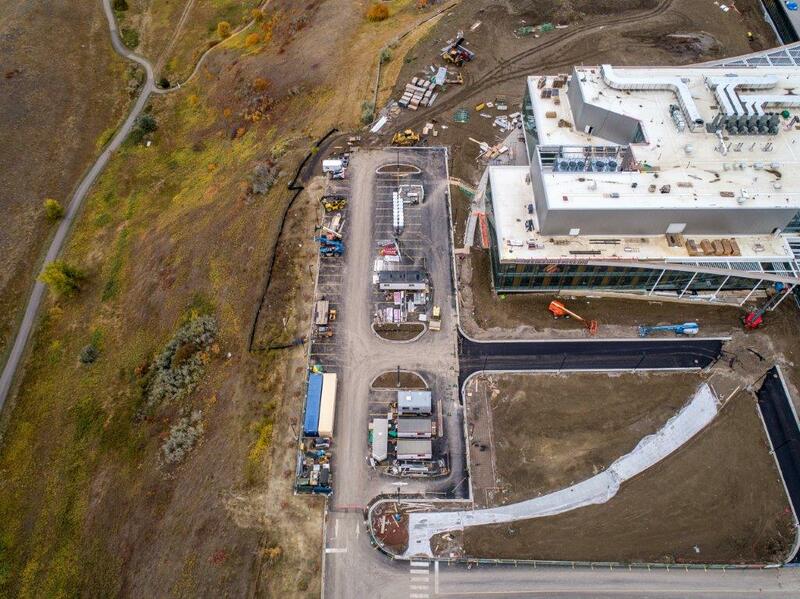 With more than 350 workers currently on-site and that number expected to climb between 450 and 500 during peak construction periods, the project has not only brought jobs to the area but a welcome economic injection for local businesses. 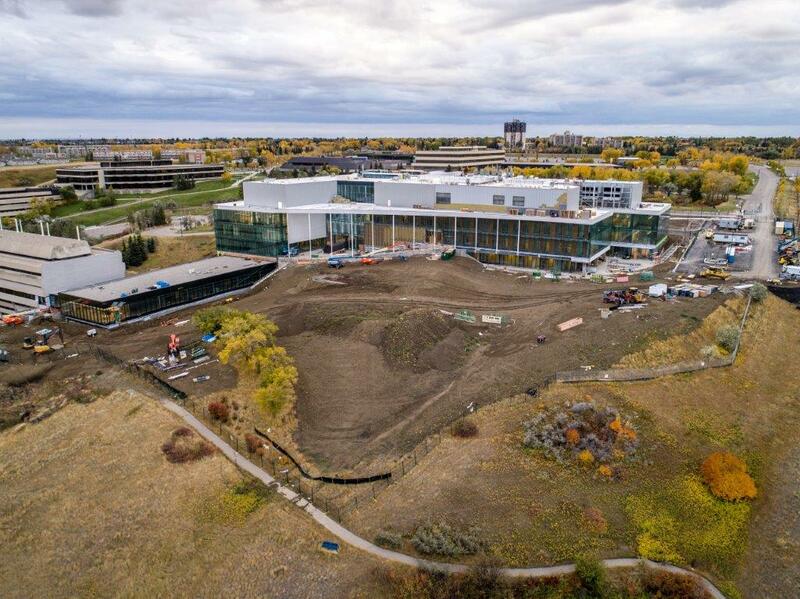 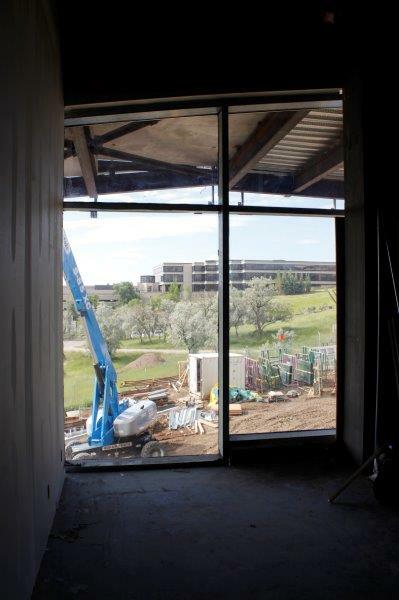 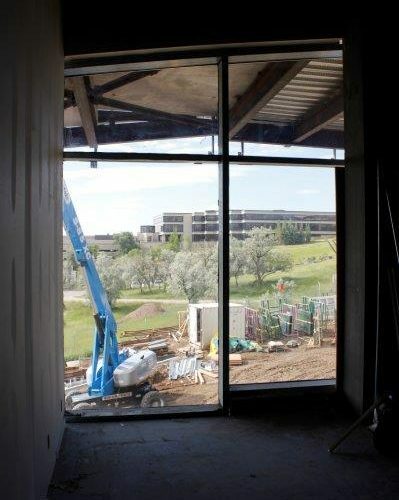 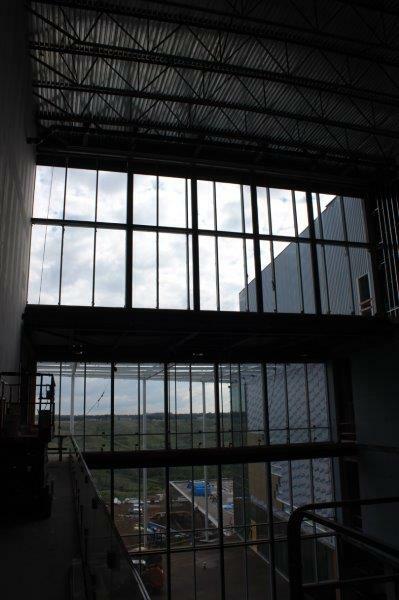 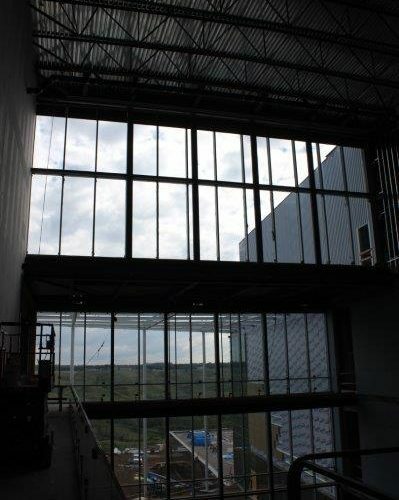 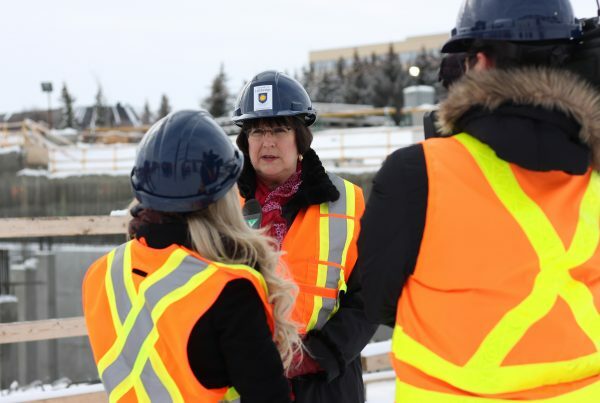 Additionally, the building, once operational, will contribute significantly to the overall impact the University of Lethbridge has on the city and region. 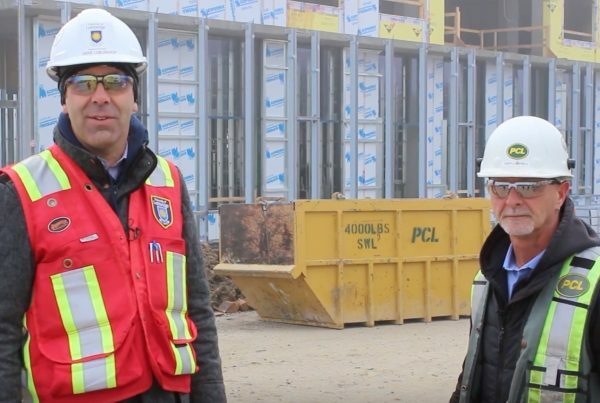 Associate Dean of the Faculty of Arts & Science and academic program manager, Dr. Matthew Letts, tours the new Science & Academic Building giving insight to the building for staff and faculty. 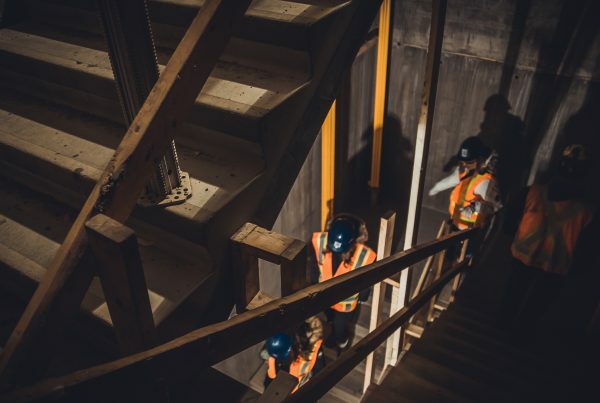 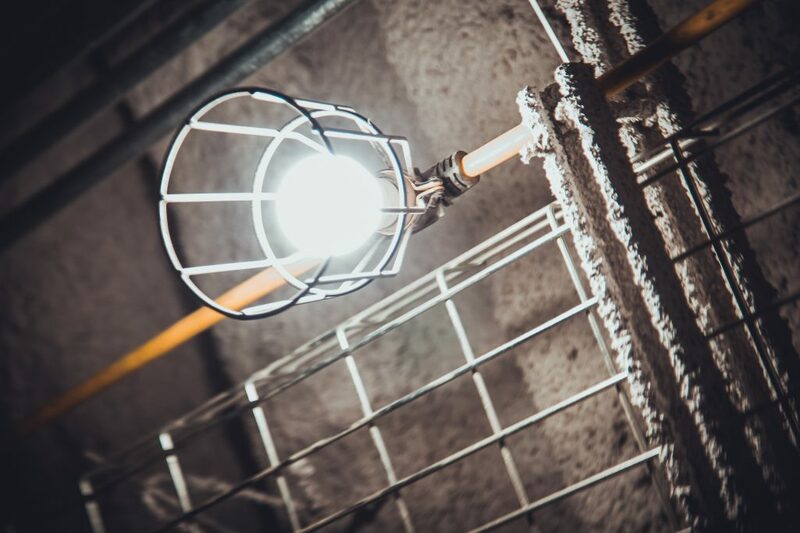 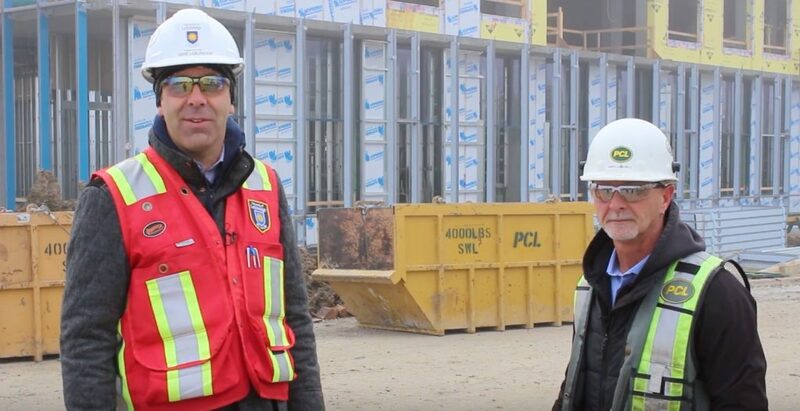 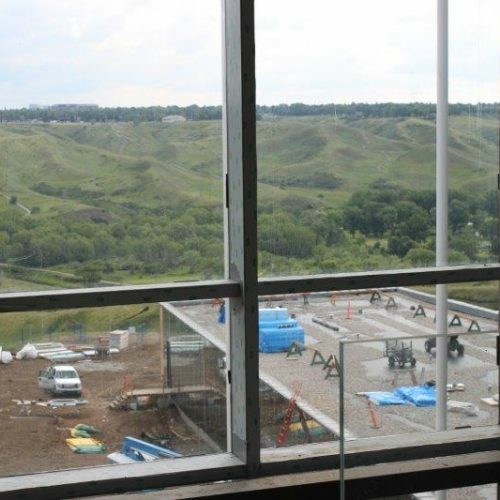 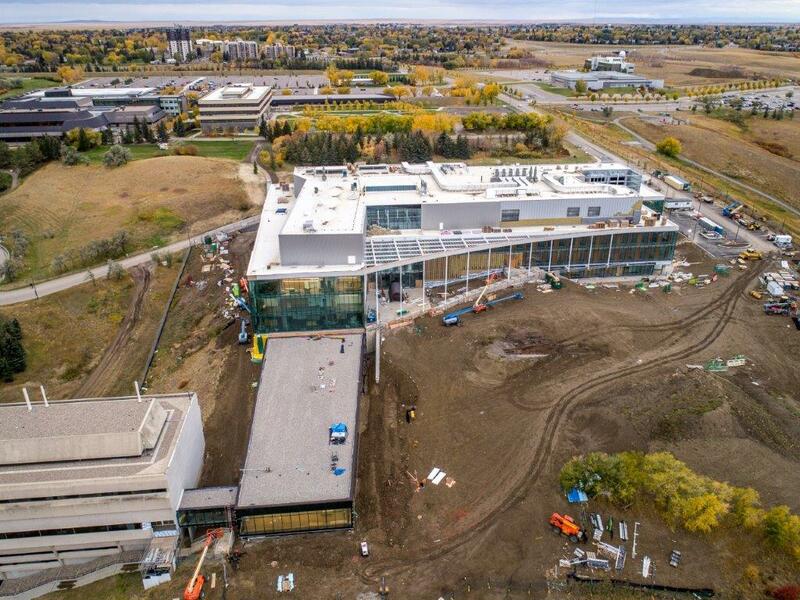 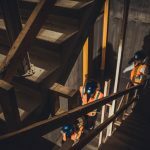 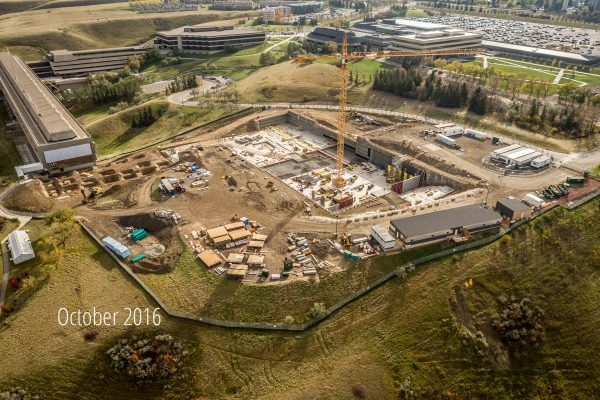 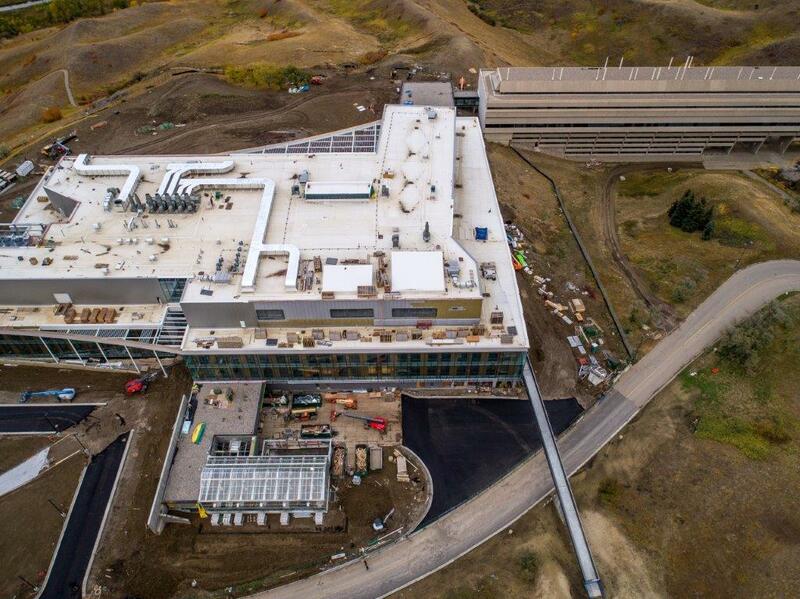 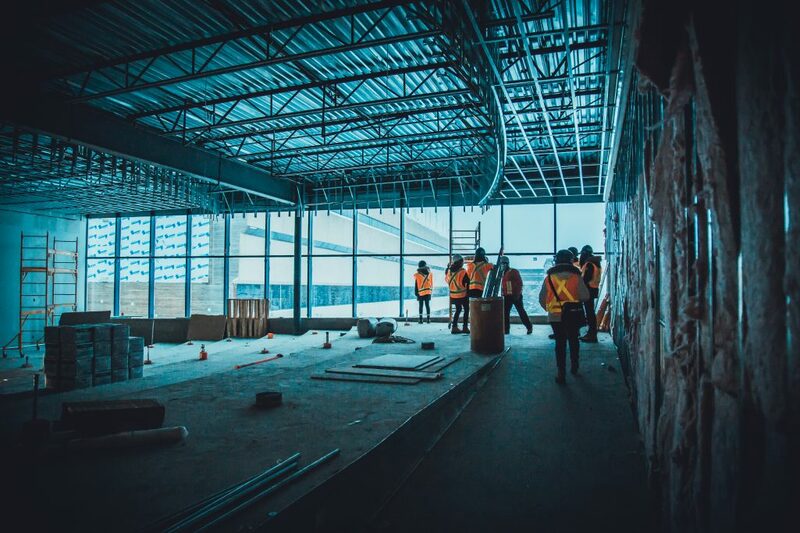 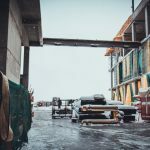 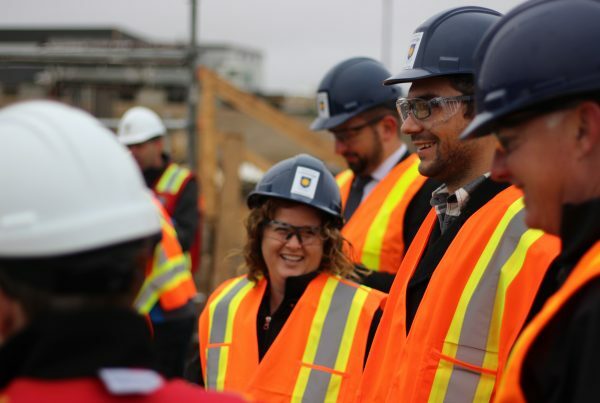 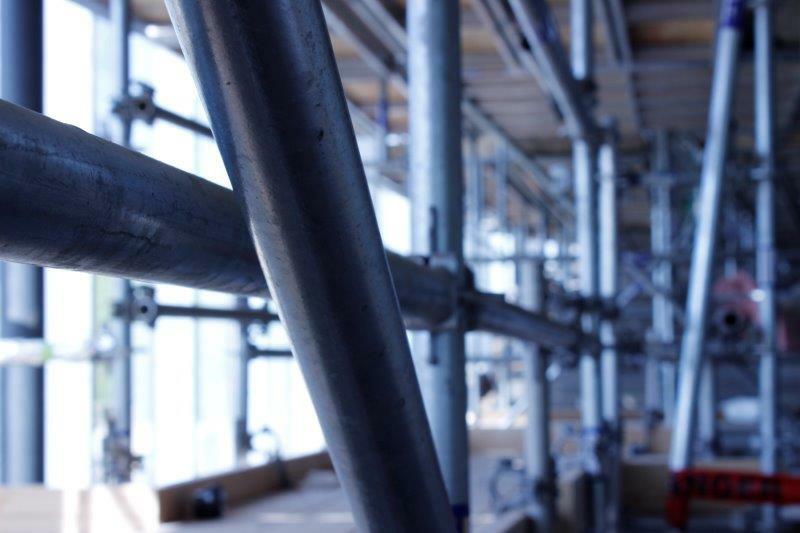 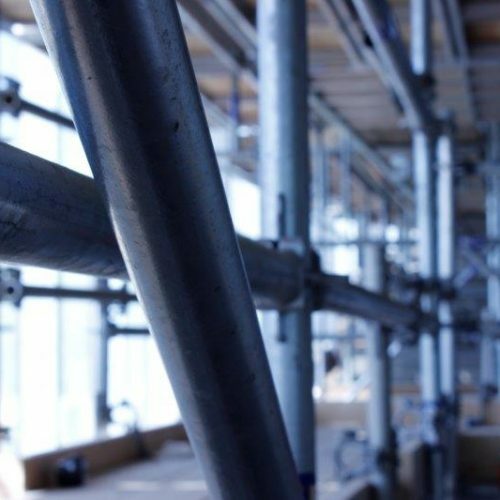 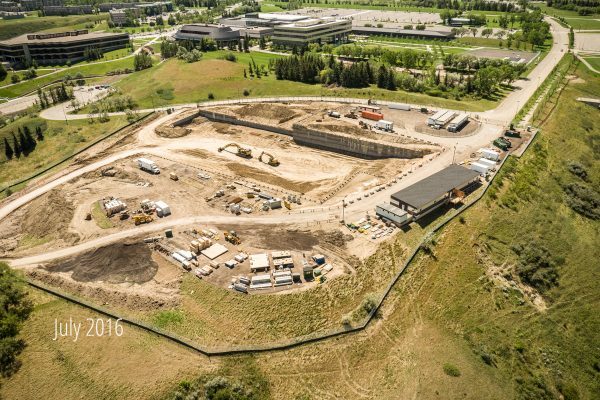 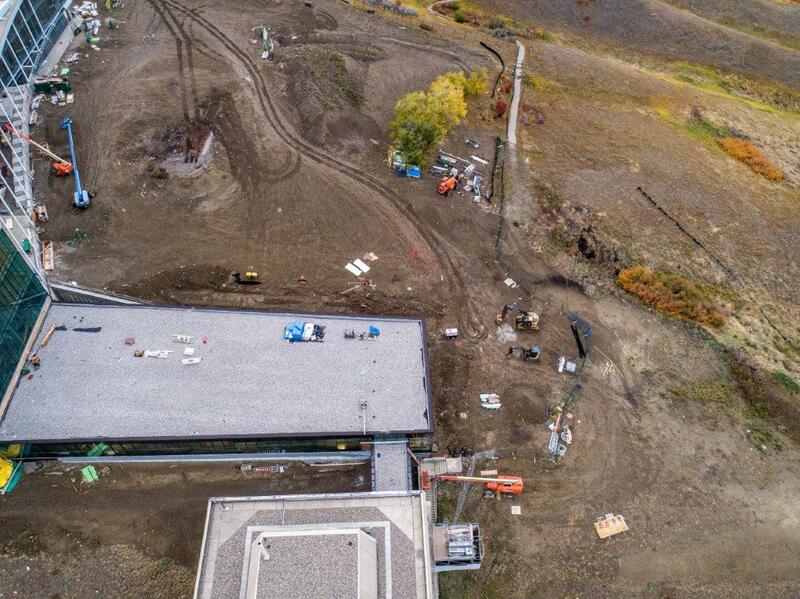 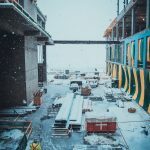 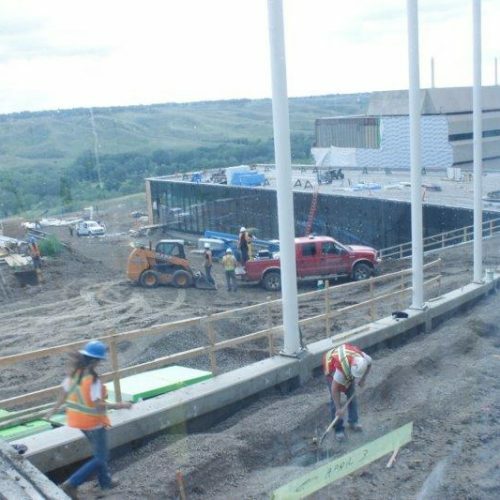 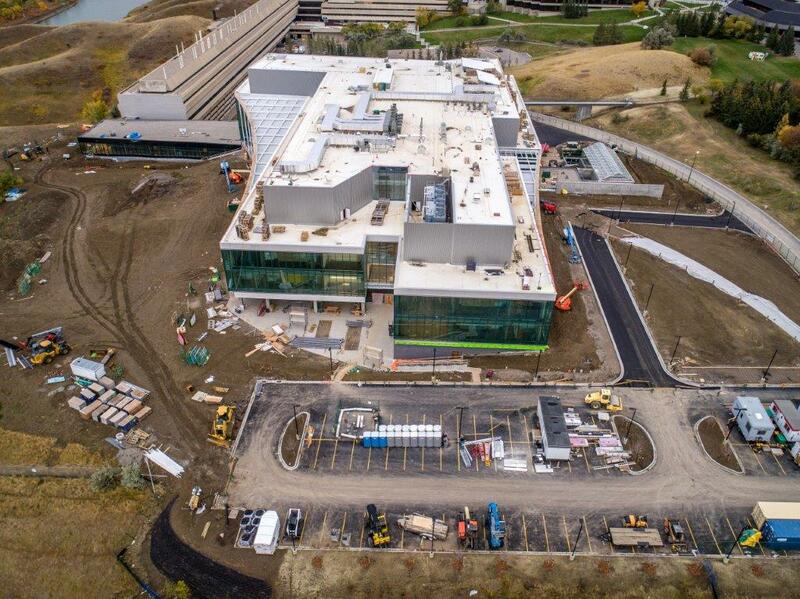 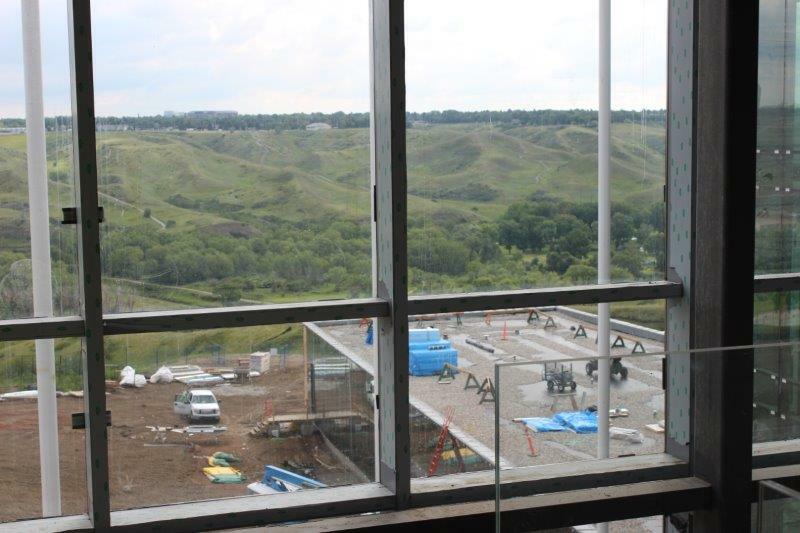 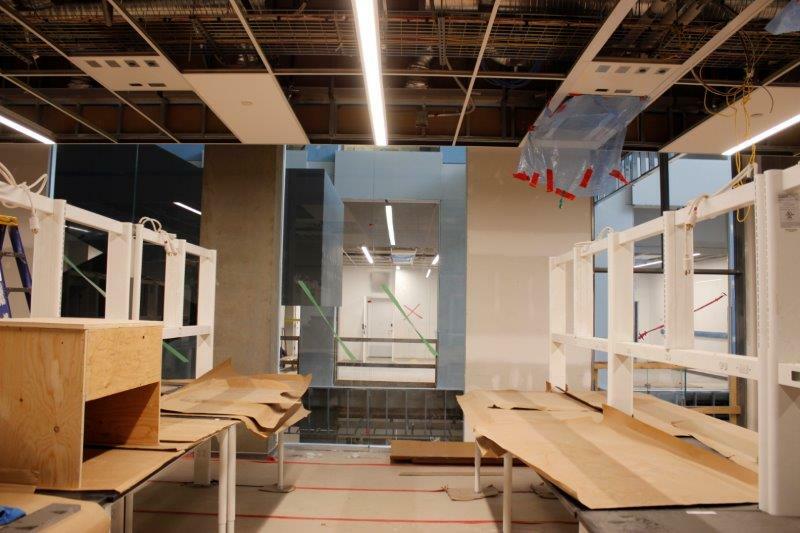 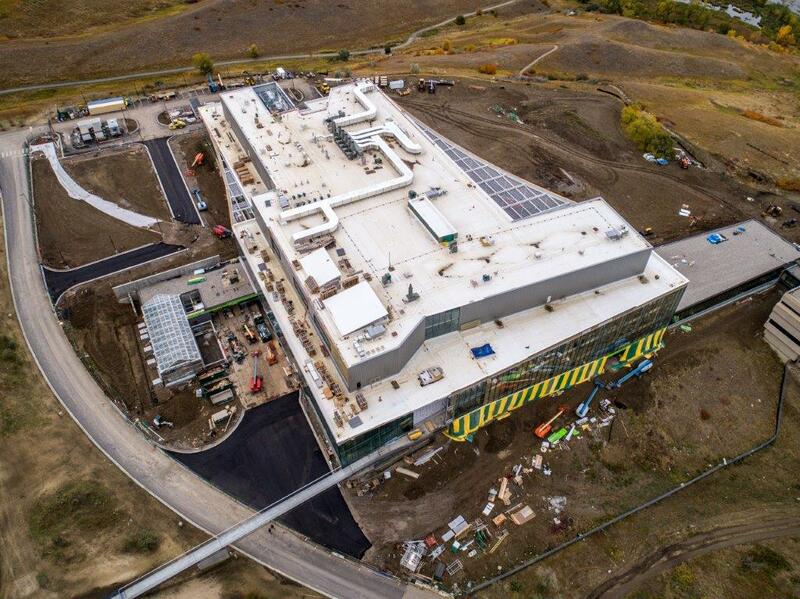 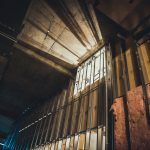 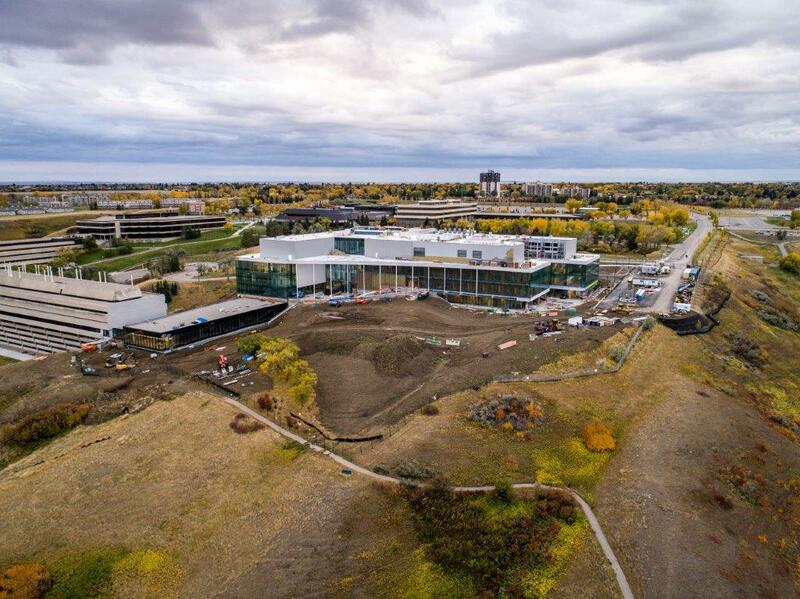 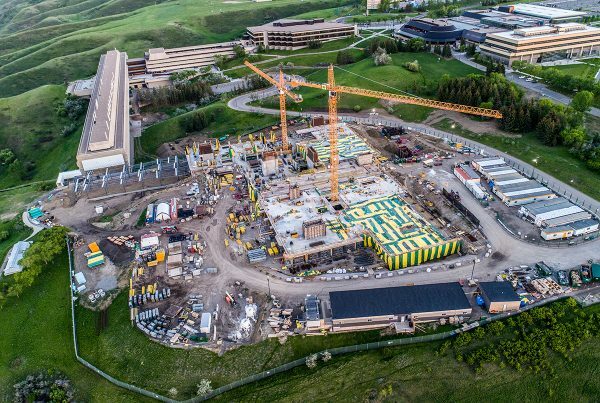 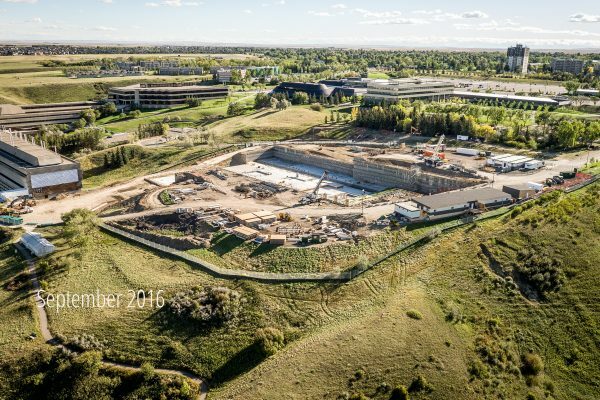 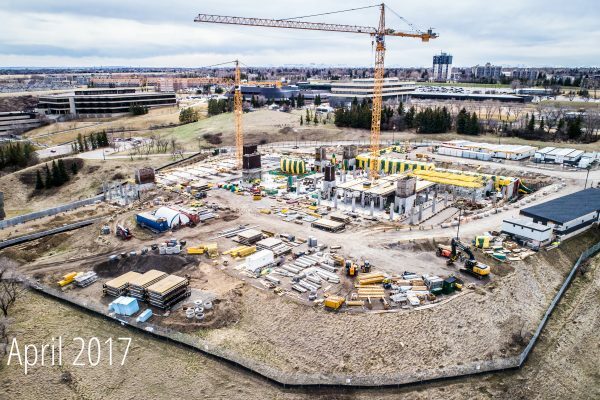 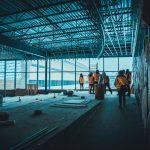 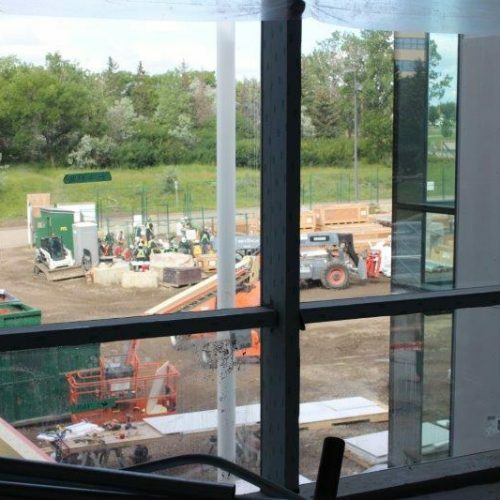 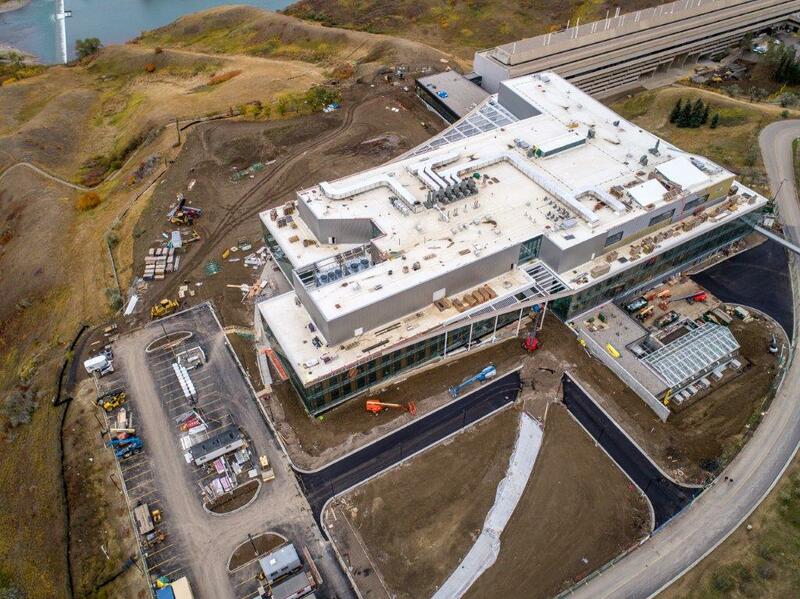 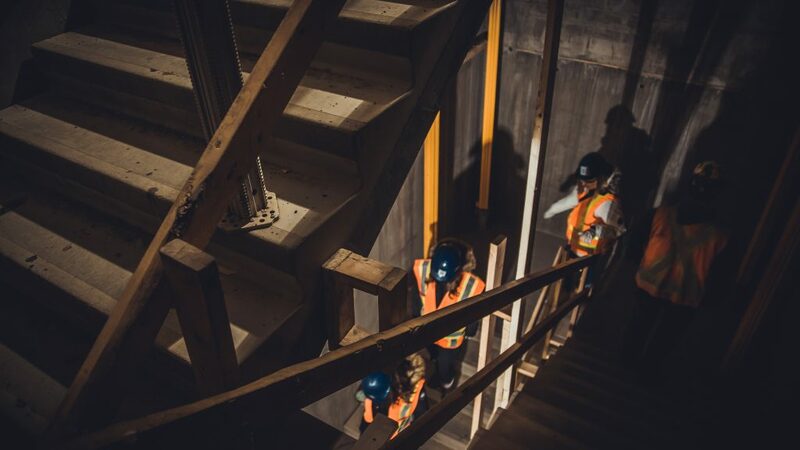 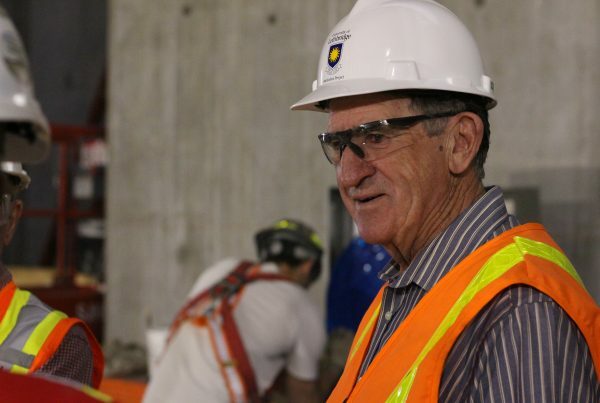 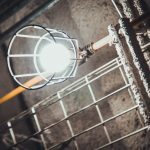 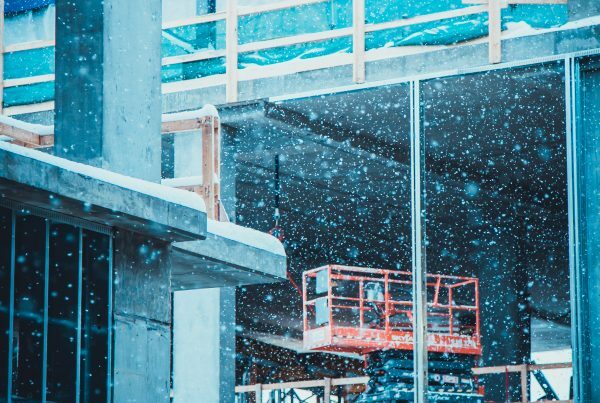 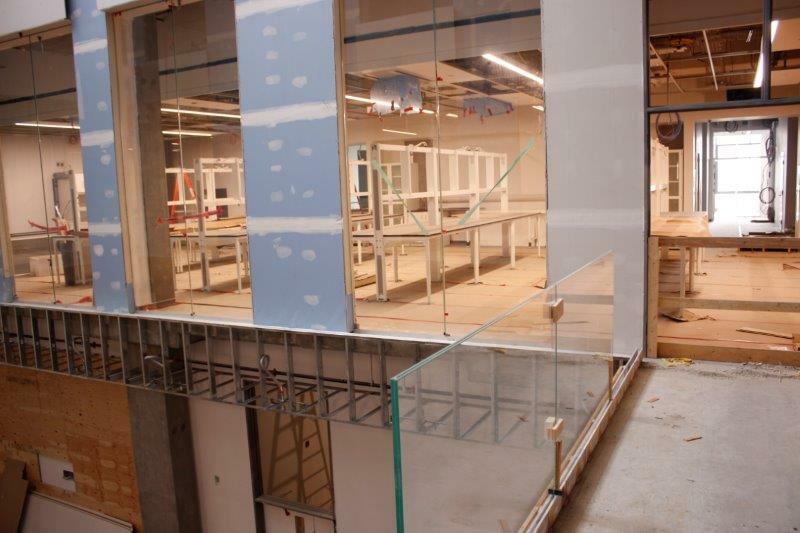 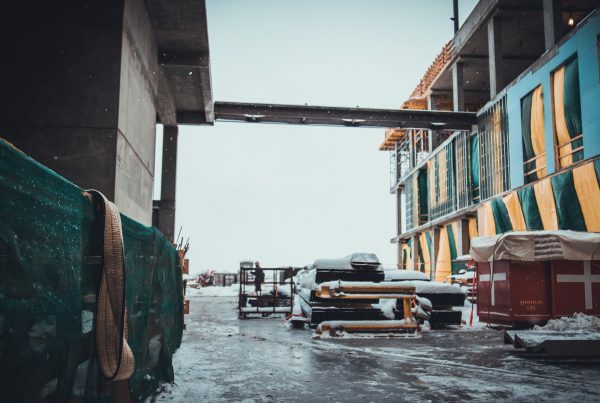 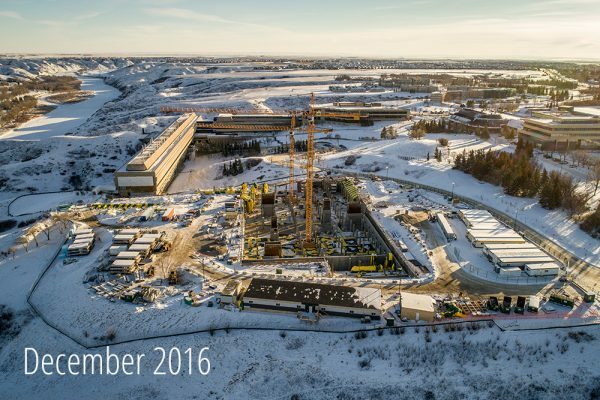 Join University of Lethbridge Project Manager, Gene Lublinkhof and PCL Construction Management Ltd. Senior Superintendent, Daryl Campbell, as they tour the site and highlight some of the spaces and progress completed to date. 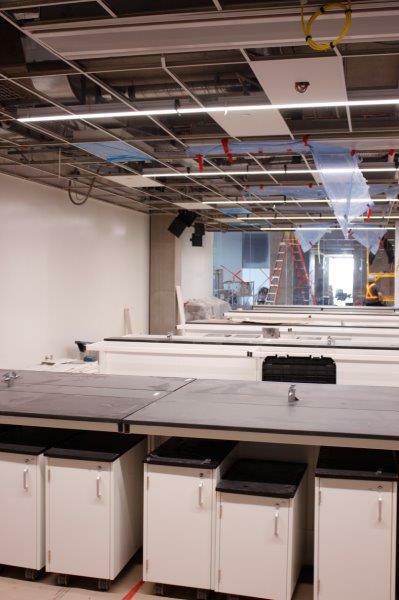 Science outreach program fosters next generation of STEM professionals! 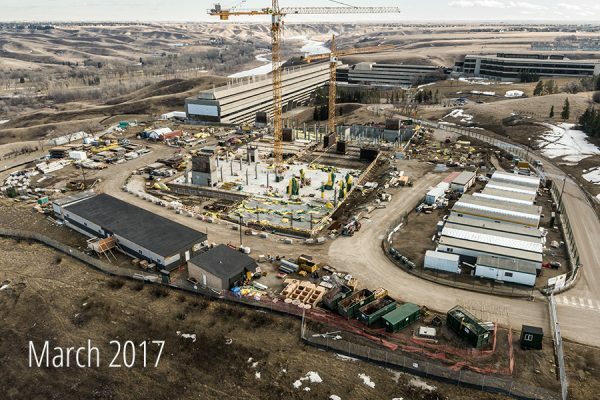 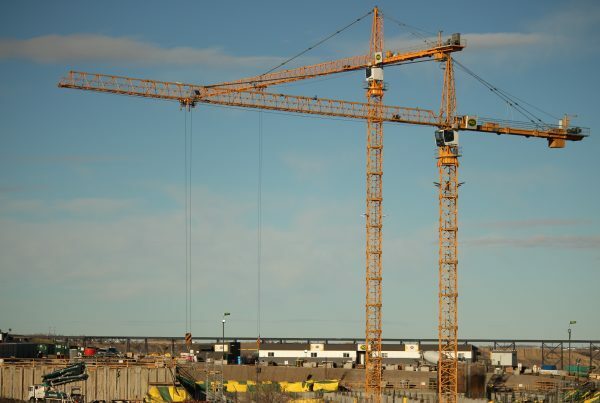 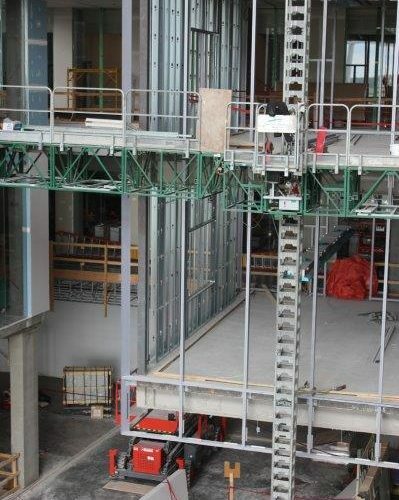 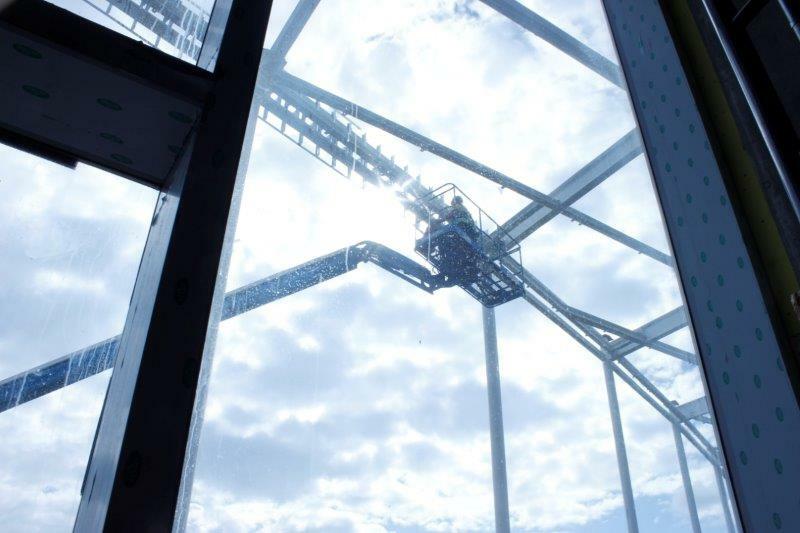 The Teaching Centre was kind enough to share their time lapse video of PCL’s Big Yeller tower crane being assembled! 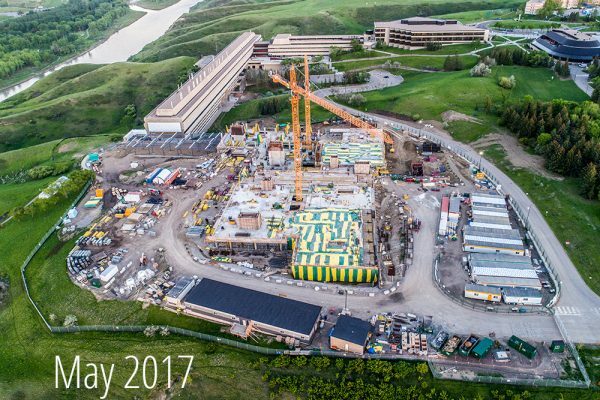 Click through our image gallery to see how the site has changed since work started in May 2016.